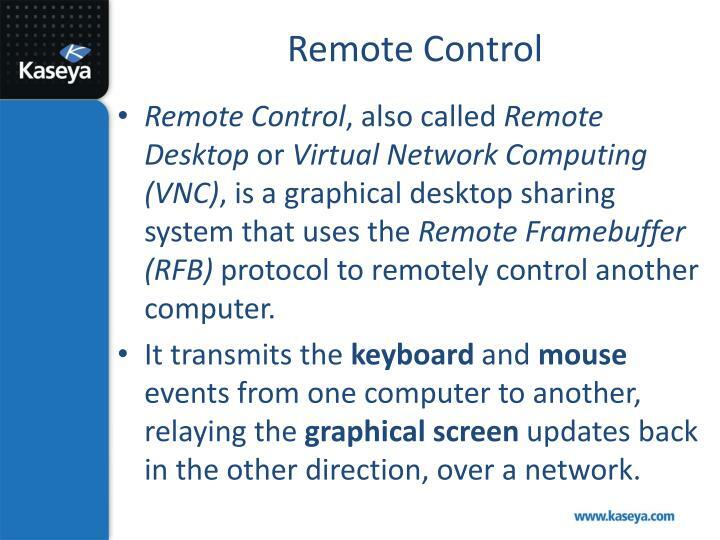 Remote Control, also called Remote Desktop or Virtual Network Computing (VNC), is a graphical desktop sharing system that uses the Remote Framebuffer (RFB) protocol to remotely control another computer. 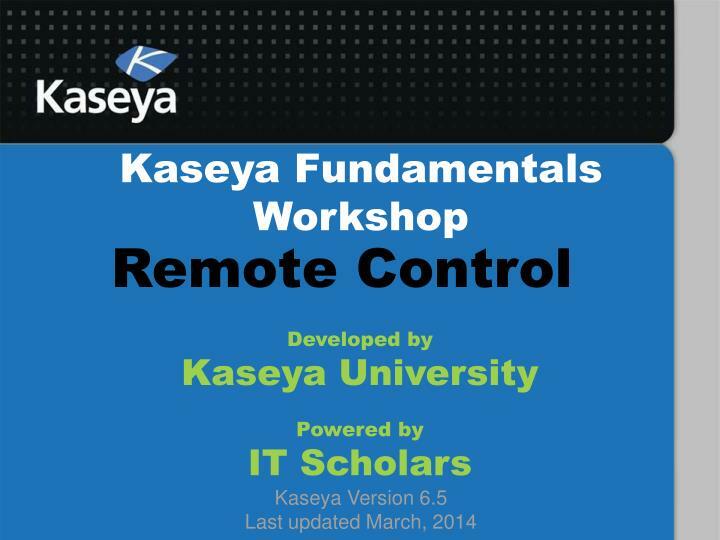 You can use Remote Control to provide immediate technical support. A Remote Control Client on your local machine connects to a Remote Control Server on a remote machine. 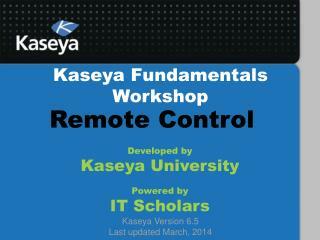 The Remote Control Server is the program on the remote machine that shares its screen. 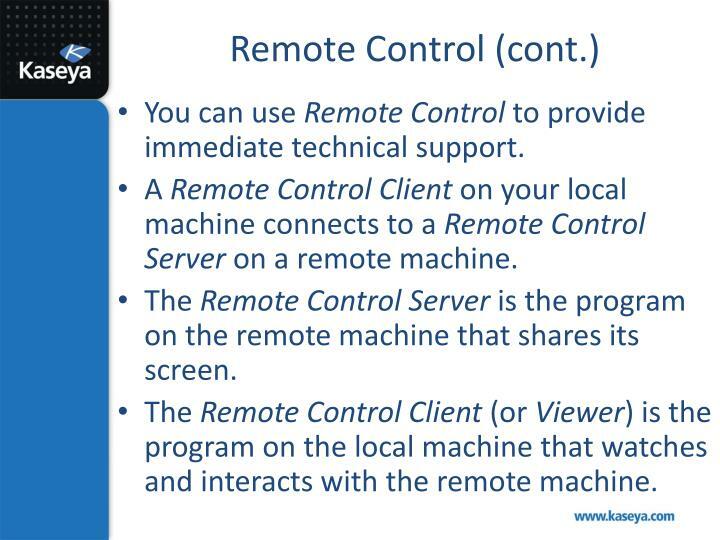 The Remote Control Client (or Viewer) is the program on the local machine that watches and interacts with the remote machine. 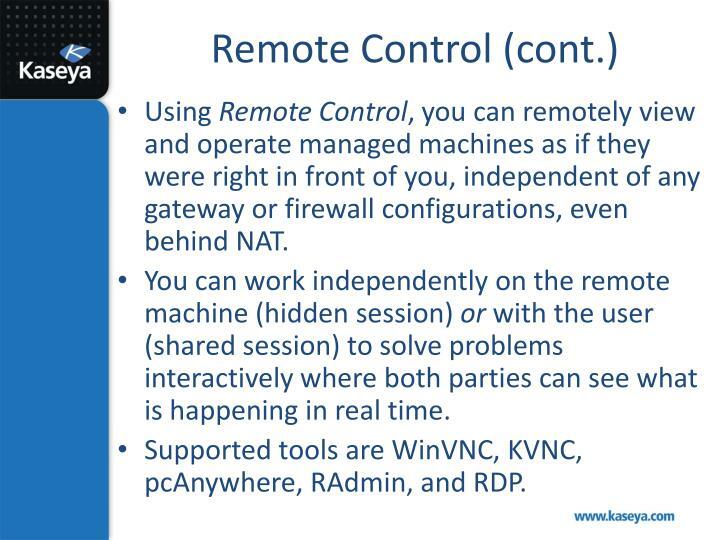 Using Remote Control, you can remotely view and operate managed machines as if they were right in front of you, independent of any gateway or firewall configurations, even behind NAT. 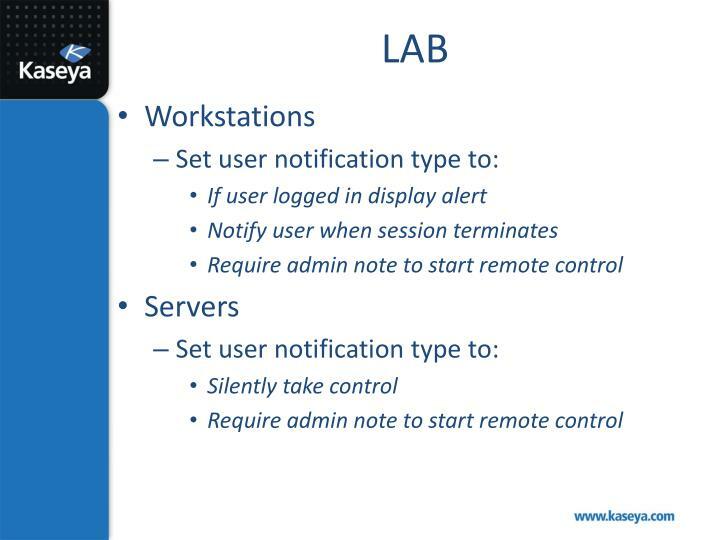 You can work independently on the remote machine (hidden session) or with the user (shared session) to solve problems interactively where both parties can see what is happening in real time. 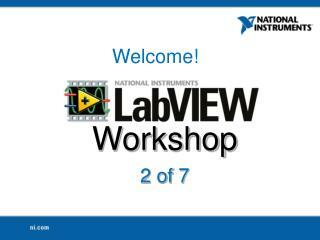 Supported tools are WinVNC, KVNC, pcAnywhere, RAdmin, and RDP. 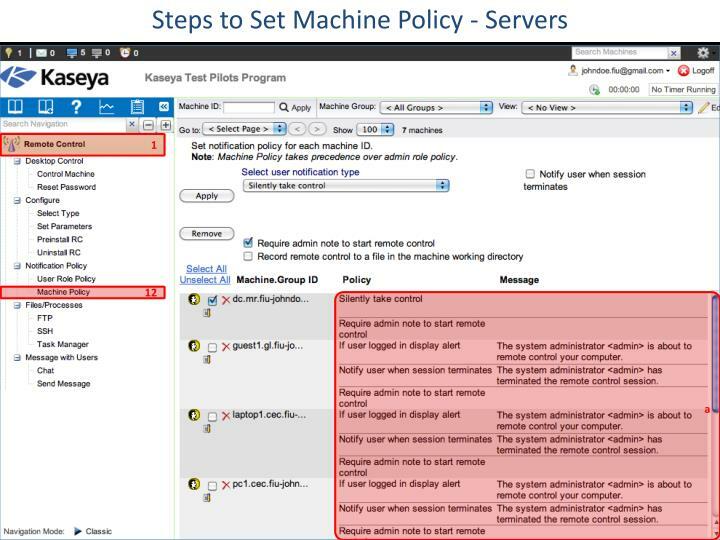 Policies can be configured to allow the machine users to block remote control or require the admin to ask for the machine user’s permission before accessing a machine. You can FTP to any managed machine and access files. You can direct chat with any managed machine. 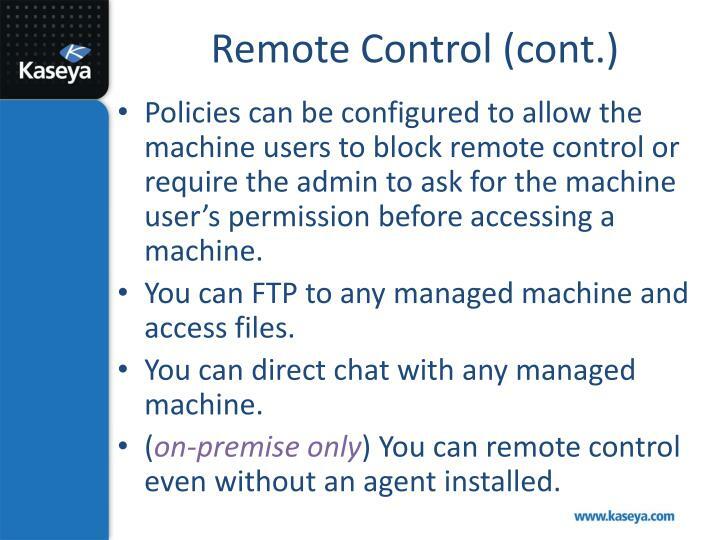 (on-premise only) You can remote control even without an agent installed. Control Machine: Allows users to view and/or take control of a managed machine for troubleshooting and/or instructional purposes. 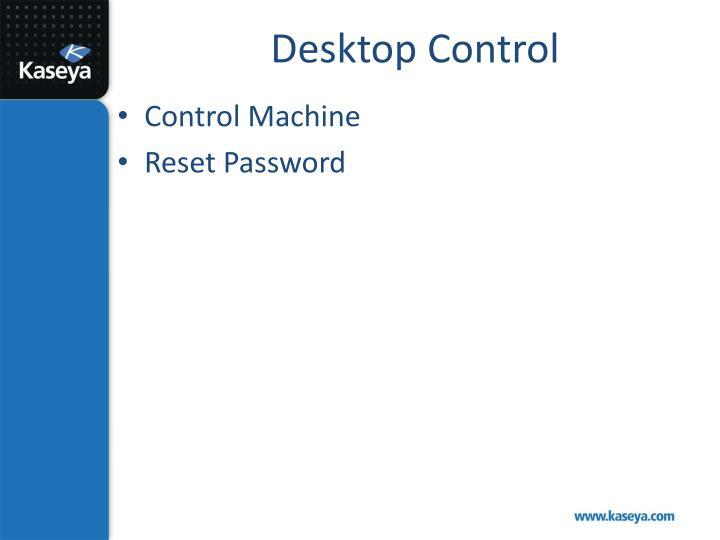 Reset Password: Reset an account password or create a new local account on a managed machine. 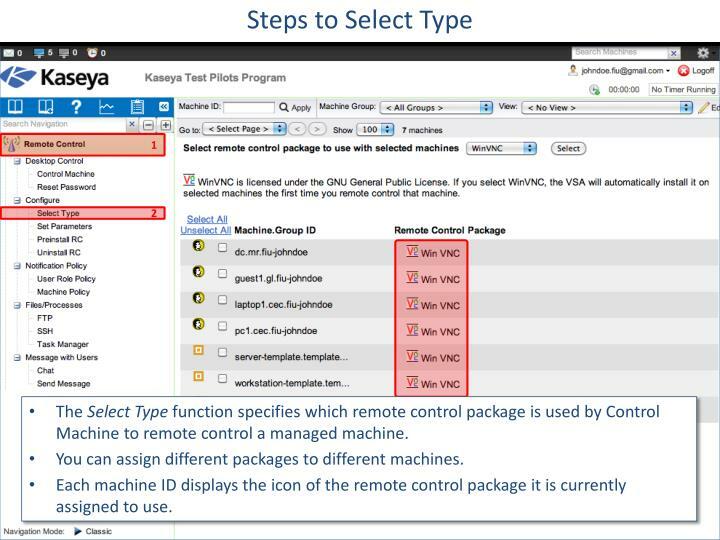 Select Type: Specify the type of remote control software the VSA uses on a per machine basis: WinVNC, KVNC, RAdmin, pcAnywhere, and RDP. 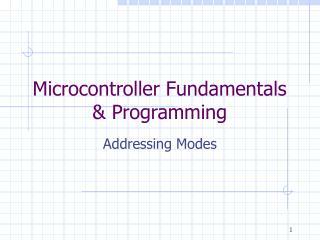 Set Parameters: Specify the remote control settings to use with each remote control package. 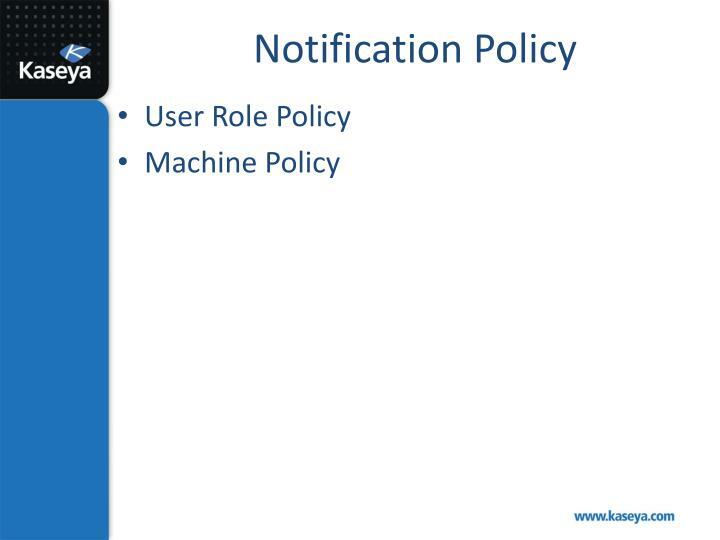 User Role Policy: Defines how machine users are notified that a remote control session to their machine is about to begin. 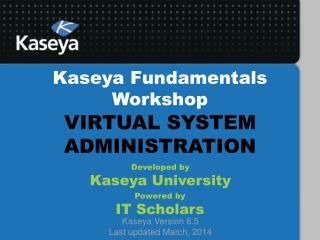 Set by VSA user role. 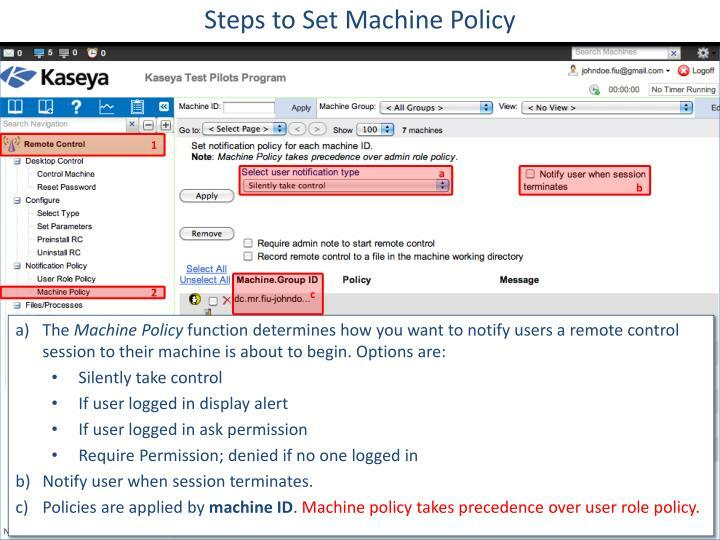 Machine Policy: Defines how machine users are notified that a remote control session to their machine is about to begin. Set by machine ID. 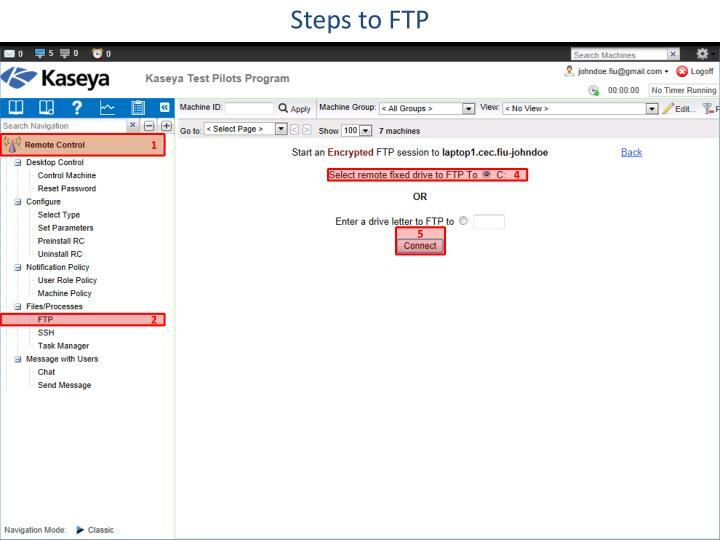 FTP: Initiate an FTP session with any remote managed machine. SSH: Runs an SSH command line session on a selected, Linux/Mac machine. 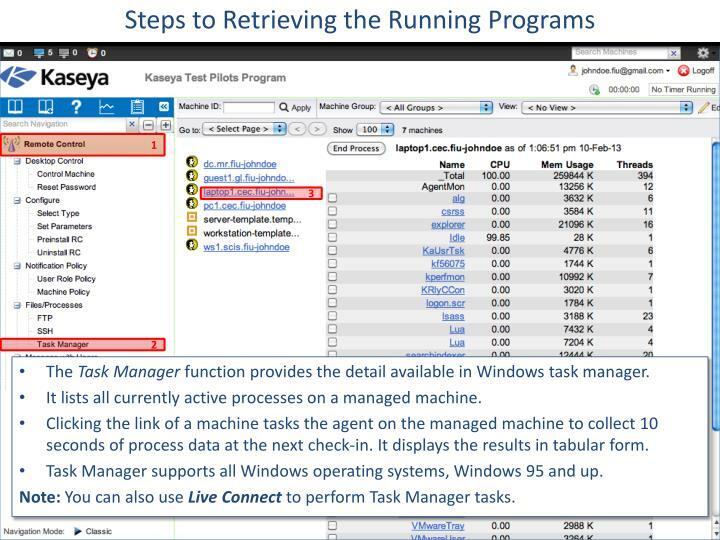 Task Manager: Allows VSA Admin to view the NT Task Manager data for a managed machine. Chat: Start a chat session between a user and any remote machine. 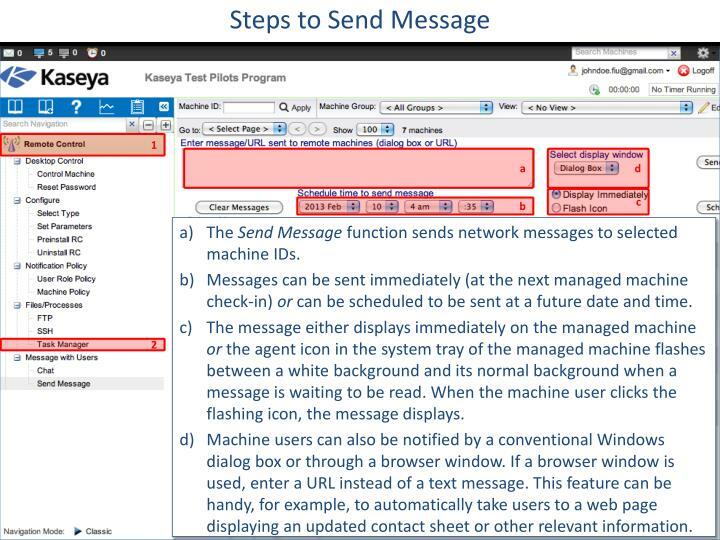 Send Message: Send network messages to selected managed machines. (on-premise only) Video Streaming: Remote control without an agent installed. 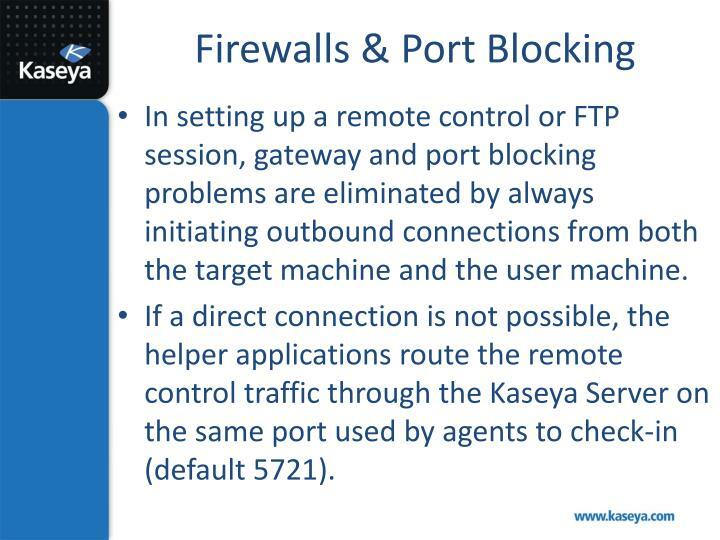 In setting up a remote control or FTP session, gateway and port blocking problems are eliminated by always initiating outbound connections from both the target machine and the user machine. If a direct connection is not possible, the helper applications route the remote control traffic through the Kaseya Server on the same port used by agents to check-in (default 5721). 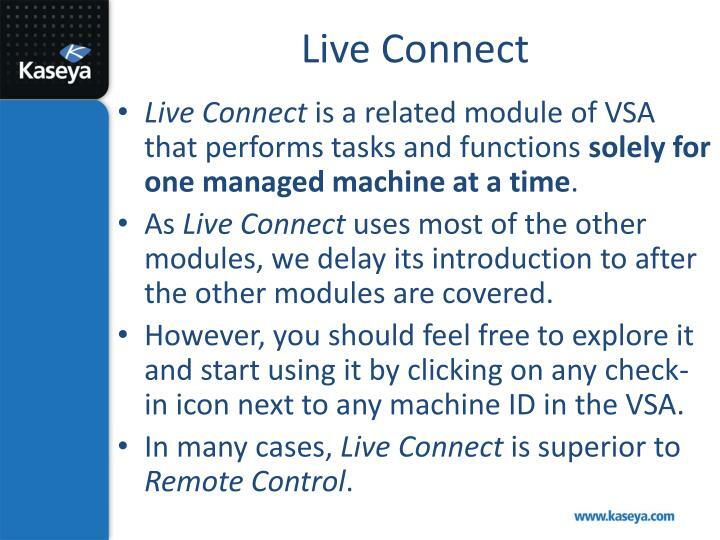 Live Connect is a related module of VSA that performs tasks and functions solely for one managed machine at a time. As Live Connect uses most of the other modules, we delay its introduction to after the other modules are covered. 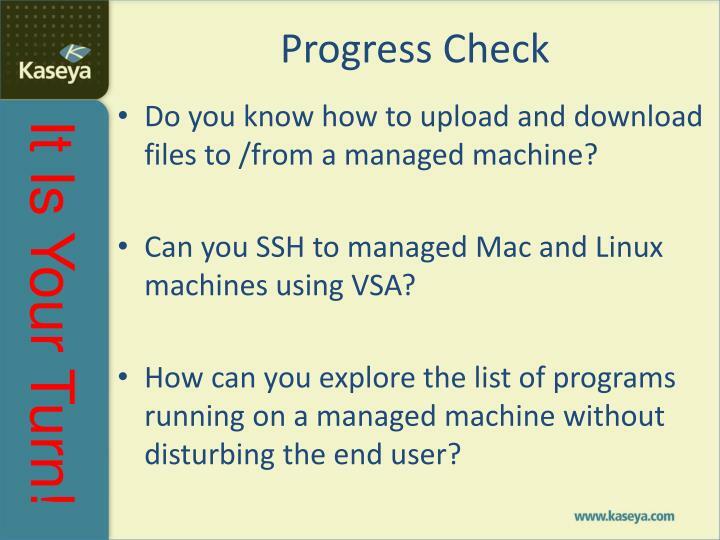 However, you should feel free to explore it and start using it by clicking on any check-in icon next to any machine ID in the VSA. In many cases, Live Connect is superior to Remote Control. What is Remote Control? 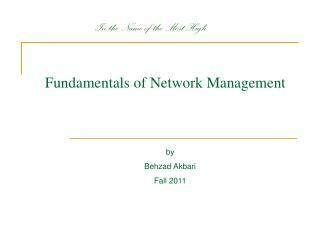 How does it work over the network? 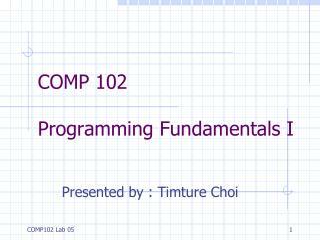 What are the different parts of this software? Which one is installed on the local machine and which on the remote machine? What is Live Connect? When you should use LC instead of RC? Maintenance work on individual computers is done by a technician who must physically go to each computer needing maintenance and perform the required tasks on them. 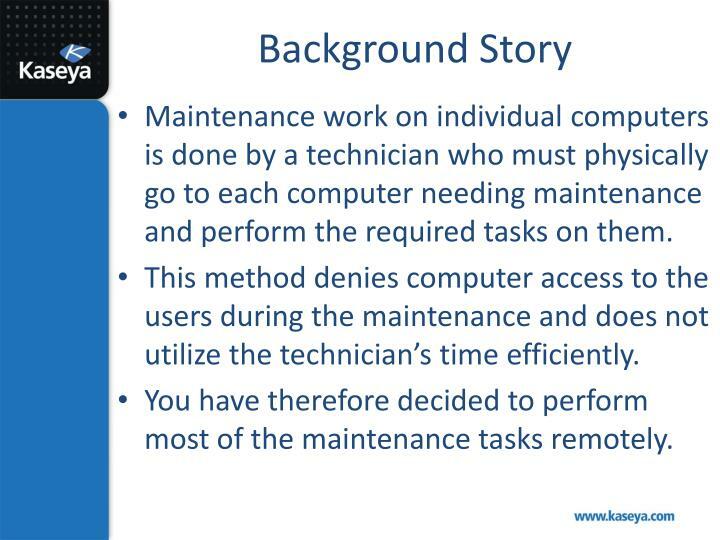 This method denies computer access to the users during the maintenance and does not utilize the technician’s time efficiently. 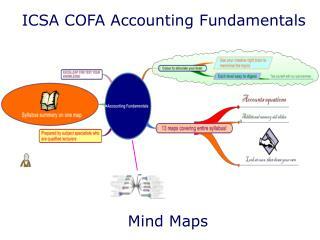 You have therefore decided to perform most of the maintenance tasks remotely. 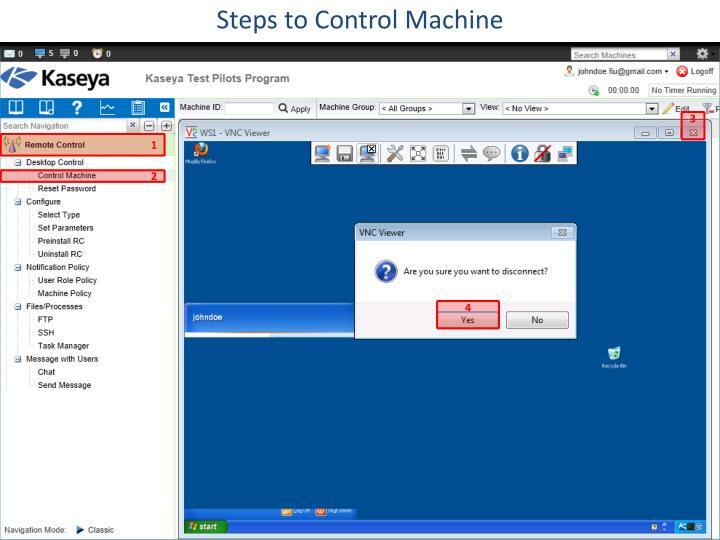 Address the above issue by using Control Machine. When you work on a sensitive machine, you would like to record the session. 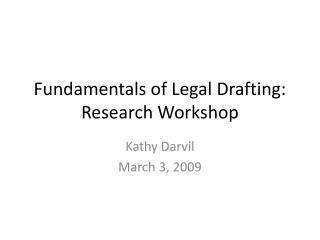 Record the session for future reference. 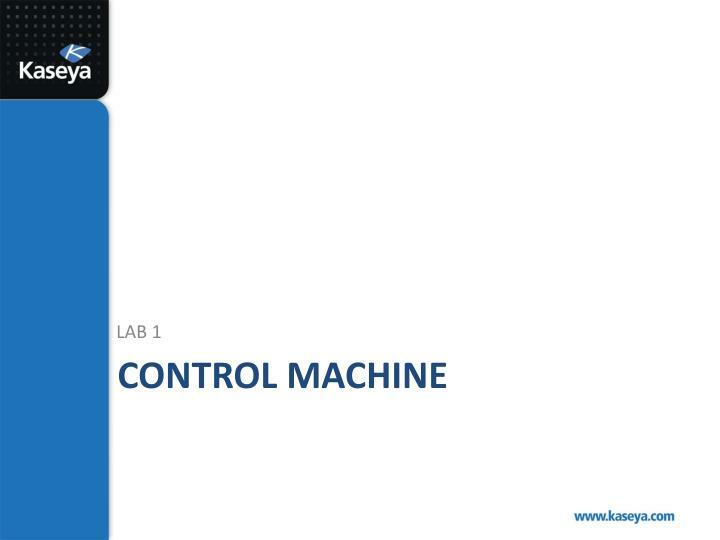 The Control Machine function establishes a remote control session between the user's local machine and a selected machine. 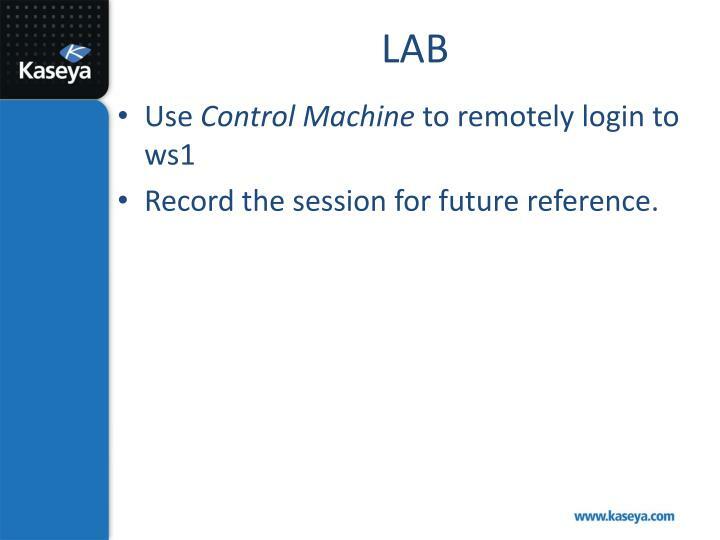 Remote control sessions can only be initiated from a Windows-based machine. 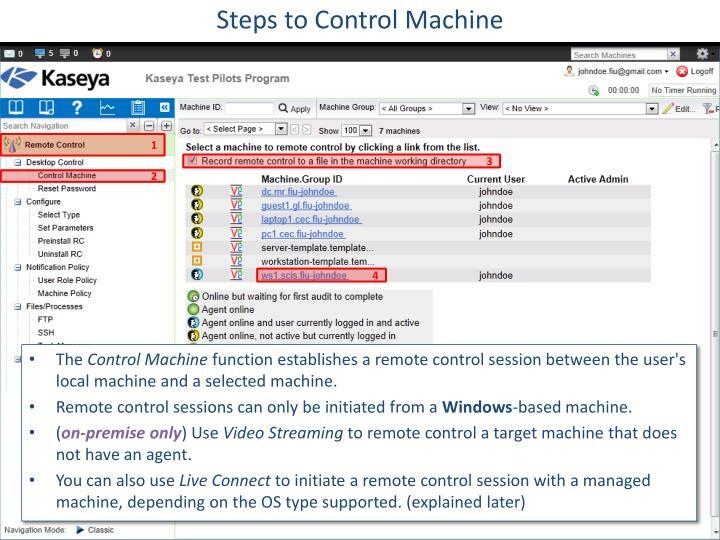 (on-premise only) Use Video Streaming to remote control a target machine that does not have an agent. Remote control, video streaming, FTP and SSH can only be initiated from Windows OS. An ActiveX control automatically configures and runs the package for you. Your browser may ask if it is OK to download and install this ActiveX control. Approve the request, if prompted. 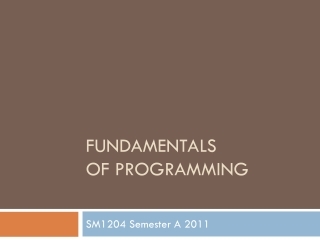 If the ActiveX control is blocked by the browser from running, the user is presented with a link to manually download and run the package manually. 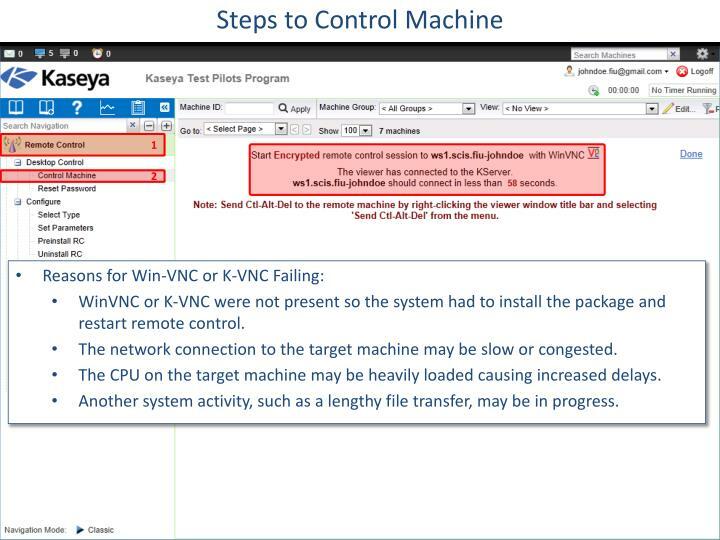 WinVNC or K-VNC were not present so the system had to install the package and restart remote control. The network connection to the target machine may be slow or congested. The CPU on the target machine may be heavily loaded causing increased delays. 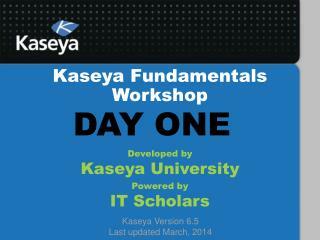 Another system activity, such as a lengthy file transfer, may be in progress. 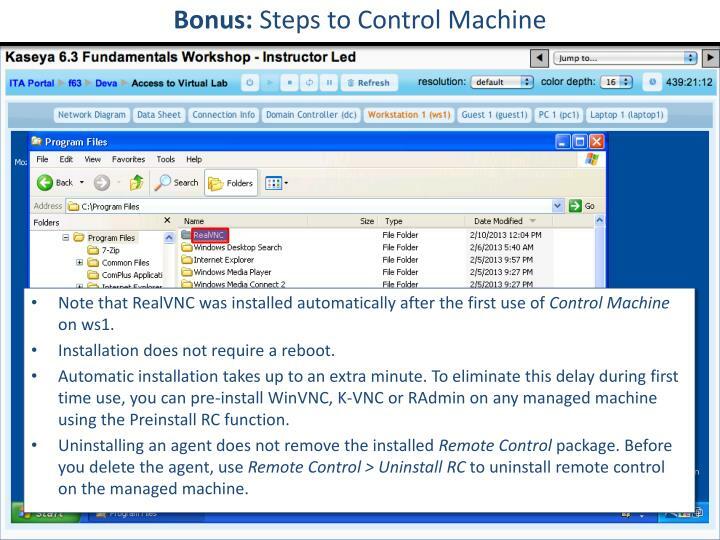 Note that RealVNC was installed automatically after the first use of Control Machine on ws1. Installation does not require a reboot. Automatic installation takes up to an extra minute. 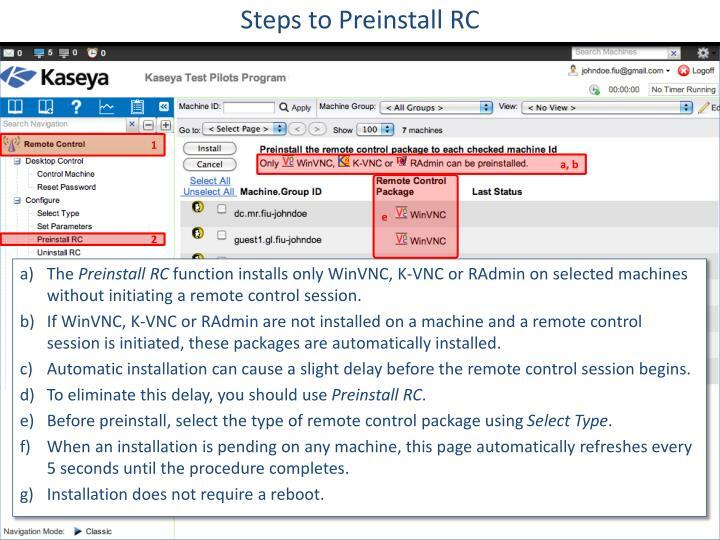 To eliminate this delay during first time use, you can pre-install WinVNC, K-VNC or RAdmin on any managed machine using the Preinstall RC function. 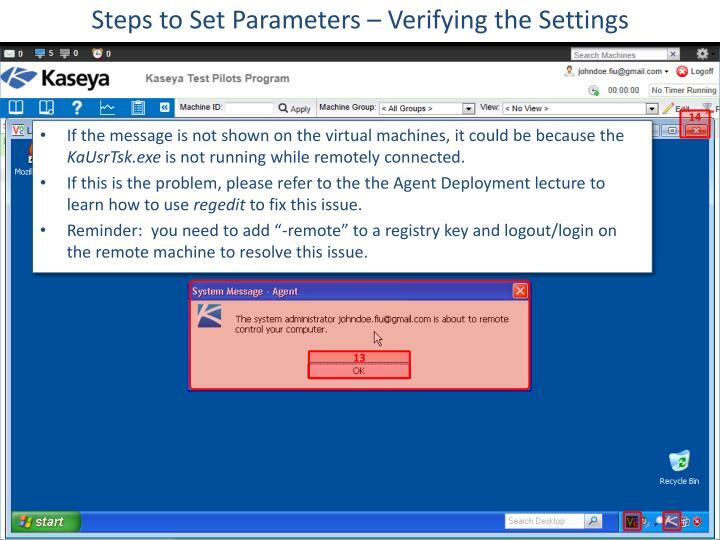 Uninstalling an agent does not remove the installed Remote Control package. 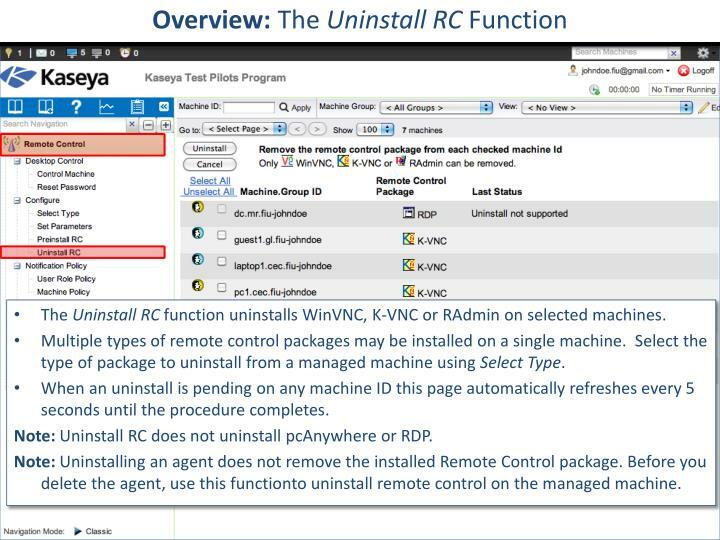 Before you delete the agent, use Remote Control > Uninstall RC to uninstall remote control on the managed machine. 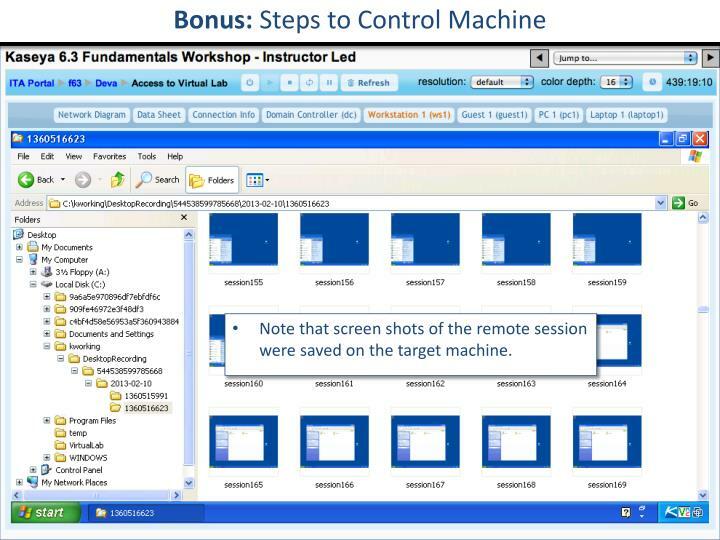 Note that screen shots of the remote session were saved on the target machine. 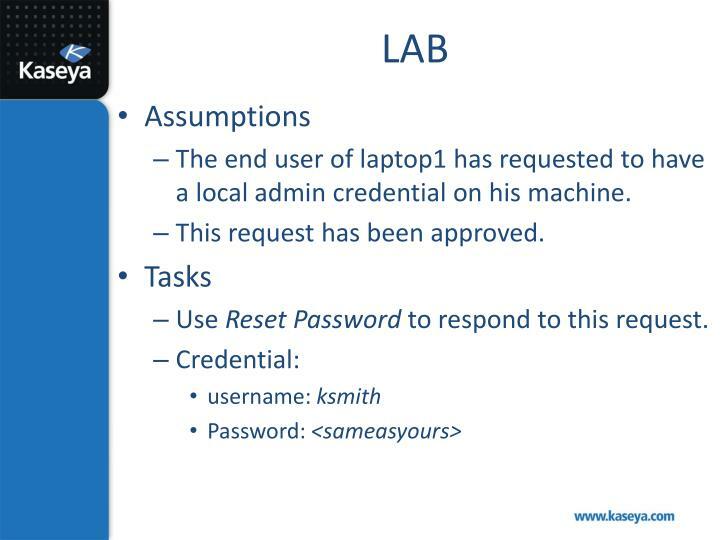 The end user of laptop1 has requested to have a local admin credential on his machine. Use Reset Password to respond to this request. 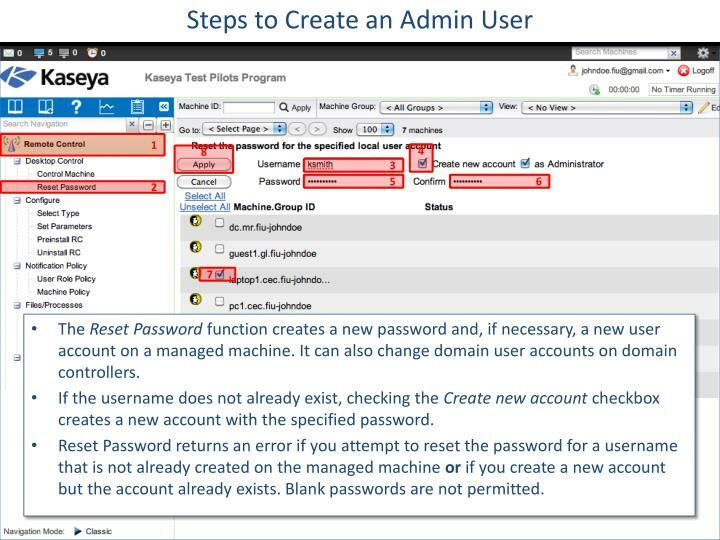 The Reset Password function creates a new password and, if necessary, a new user account on a managed machine. It can also change domain user accounts on domain controllers. 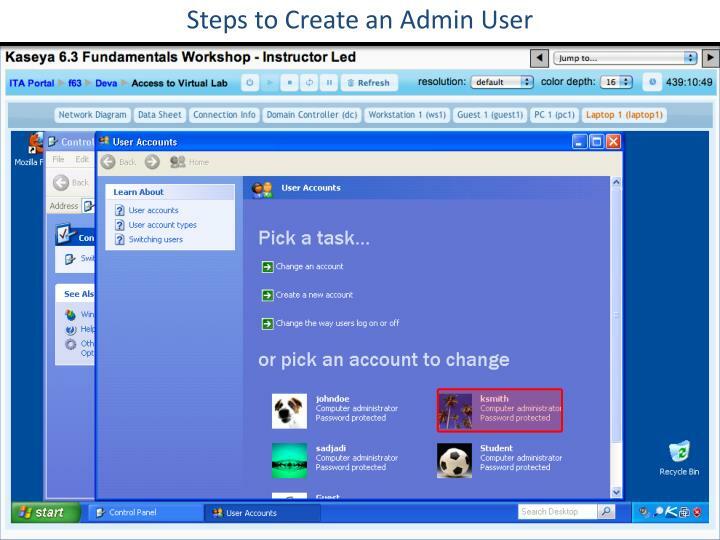 If the username does not already exist, checking the Create new account checkbox creates a new account with the specified password. 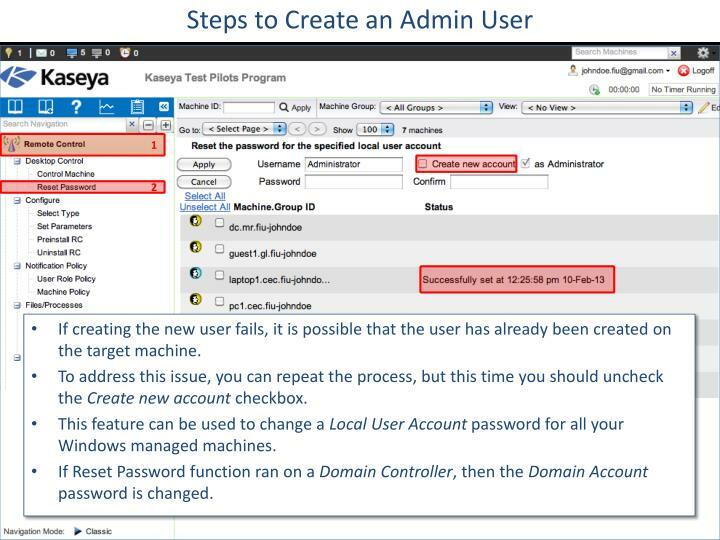 Reset Password returns an error if you attempt to reset the password for a username that is not already created on the managed machine or if you create a new account but the account already exists. Blank passwords are not permitted. If creating the new user fails, it is possible that the user has already been created on the target machine. To address this issue, you can repeat the process, but this time you should uncheck the Create new account checkbox. This feature can be used to change a Local User Account password for all your Windows managed machines. If Reset Password function ran on a Domain Controller, then the Domain Account password is changed. 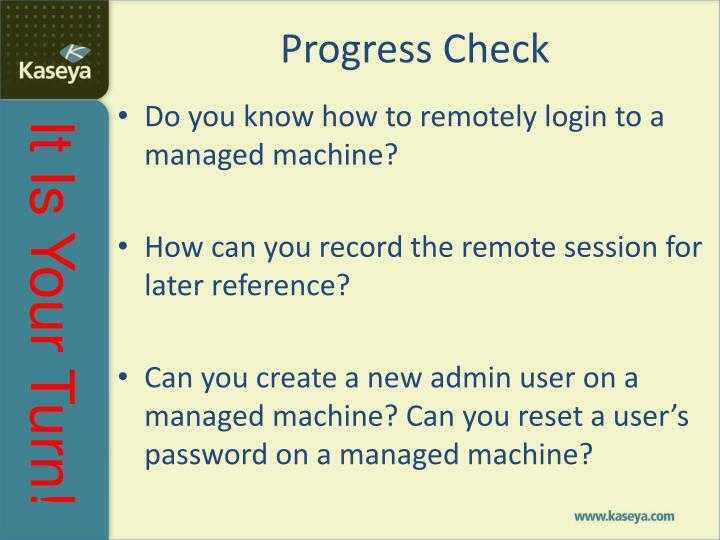 Do you know how to remotely login to a managed machine? 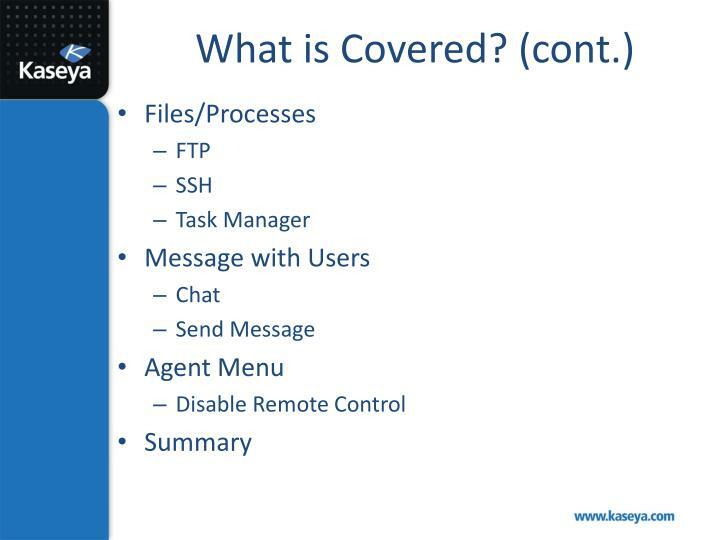 How can you record the remote session for later reference? 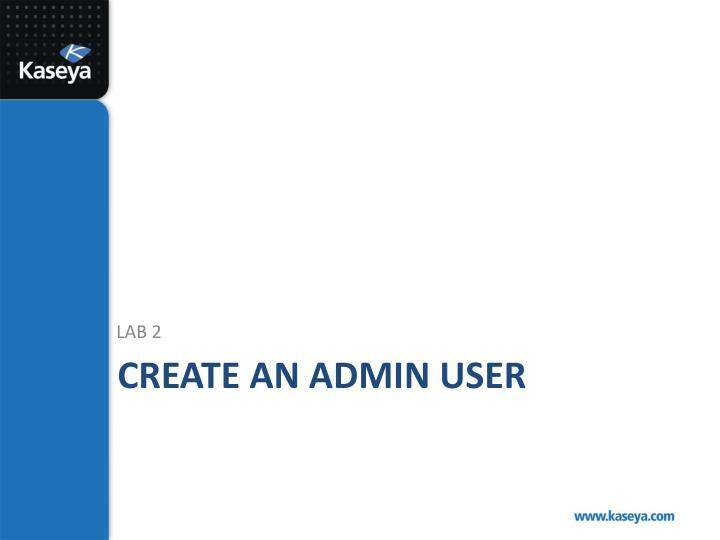 Can you create a new admin user on a managed machine? Can you reset a user’s password on a managed machine? 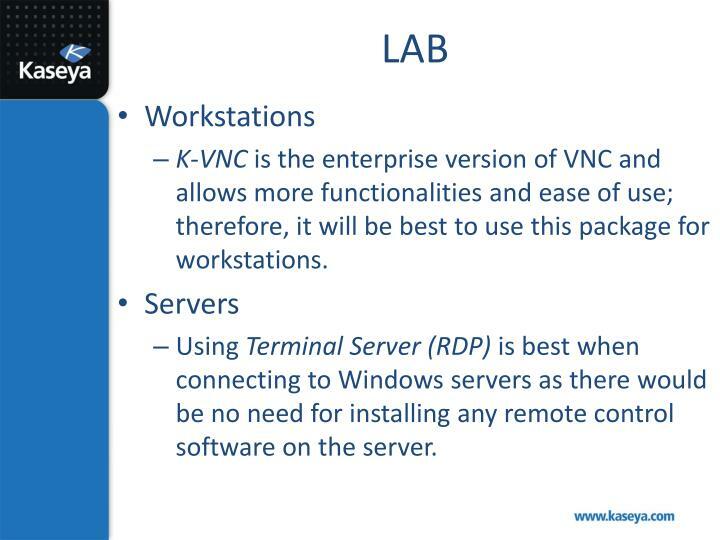 K-VNC is the enterprise version of VNC and allows more functionalities and ease of use; therefore, it will be best to use this package for workstations. 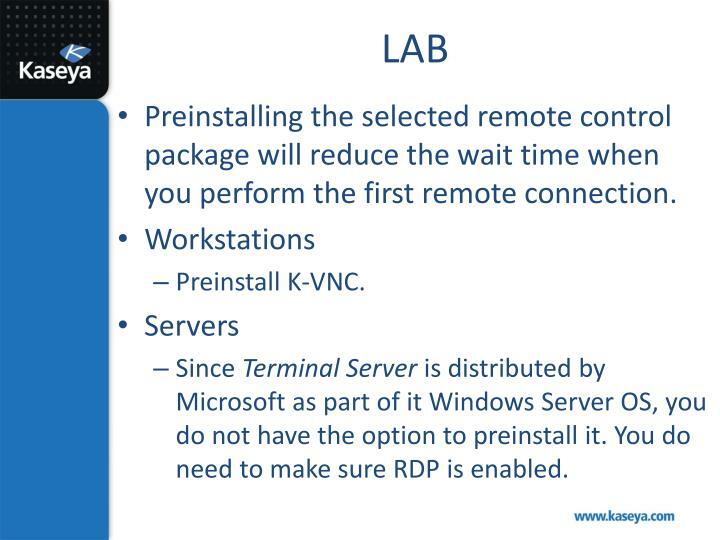 Using Terminal Server (RDP) is best when connecting to Windows servers as there would be no need for installing any remote control software on the server. The Select Type function specifies which remote control package is used by Control Machine to remote control a managed machine. You can assign different packages to different machines. Each machine ID displays the icon of the remote control package it is currently assigned to use. WinVNC: An open source remote control package. Bundled with the VSA as the default package used to remote access managed machines, including Linux machines. 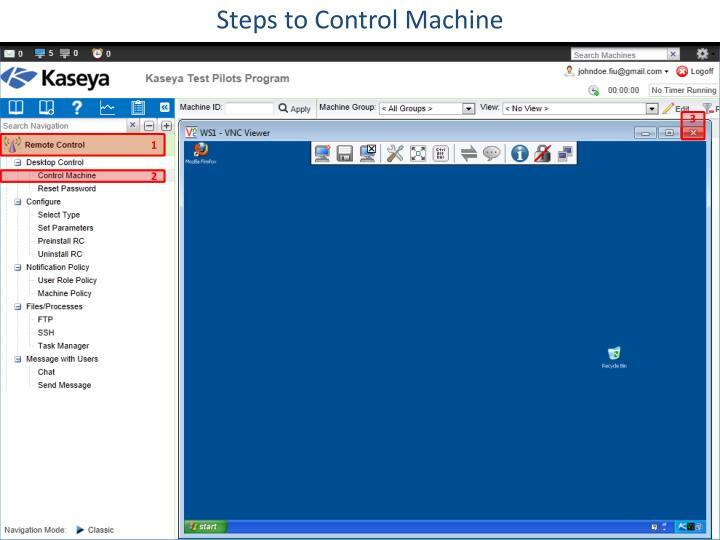 K-VNC: The enterprise version of VNC. supports Windows Vista, 2000, XP, 2003, 7, 2008, and Macintosh 10.3.x. RAdmin: A commercially available remote control package (trial included) offering high speed and file transfer. The agent installs an RAdmin server on the remote machine. 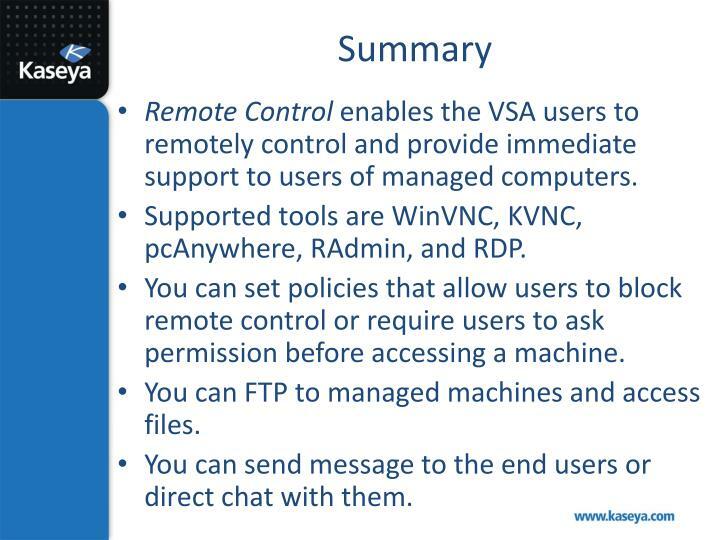 PCAnywhere: It is a widely used remote control package available from Symantec, fully supported by VSA. 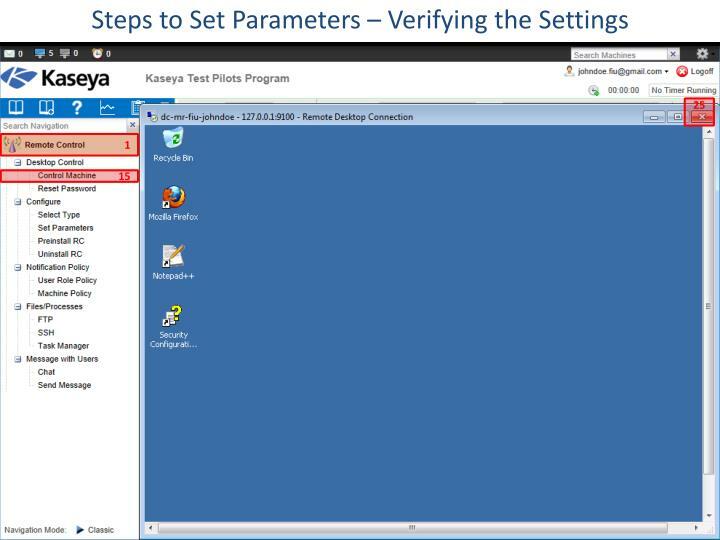 The VSA does not automatically install PCAnywhere. You must purchase PCAnywhere separately and install it on the workstation before you can use this option. Combining the VSA with existing installations of PCAnywhere allows you to remote control machines behind gateways without mapping ports or opening firewalls. RDP: Microsoft RDP is only available with Windows NT, 2000, XP, Vista, Windows 7, 2003 and 2008. 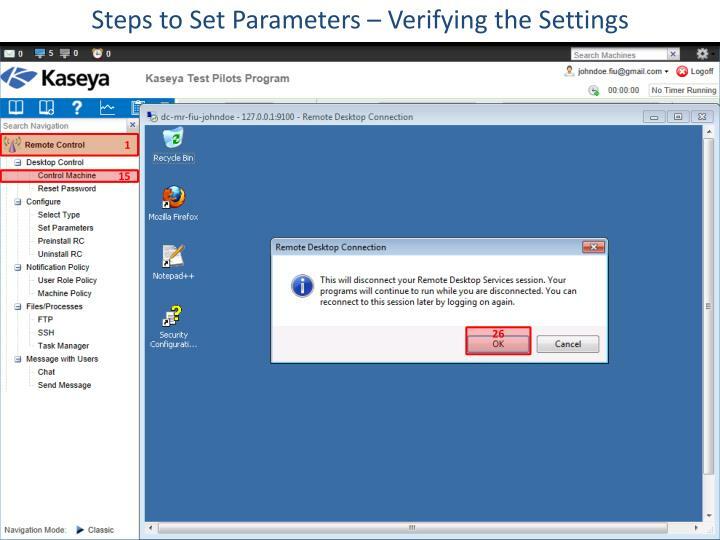 The VSA does not automatically install RDP but does allow you to remote control machines behind gateways without mapping ports or opening firewalls. XP, Vista and Windows 7 come pre-installed with RDP access for a single user. For other operating systems see Terminal Service Client Access License requirements on the Microsoft website. 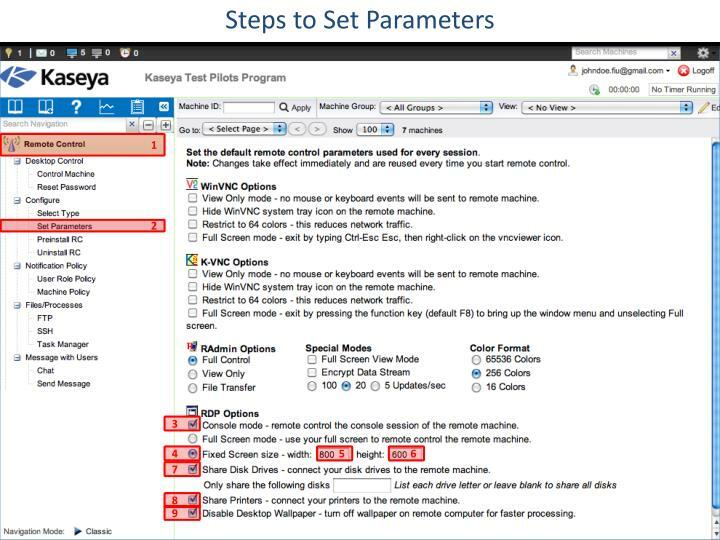 No specific parameter settings for K-VNC. 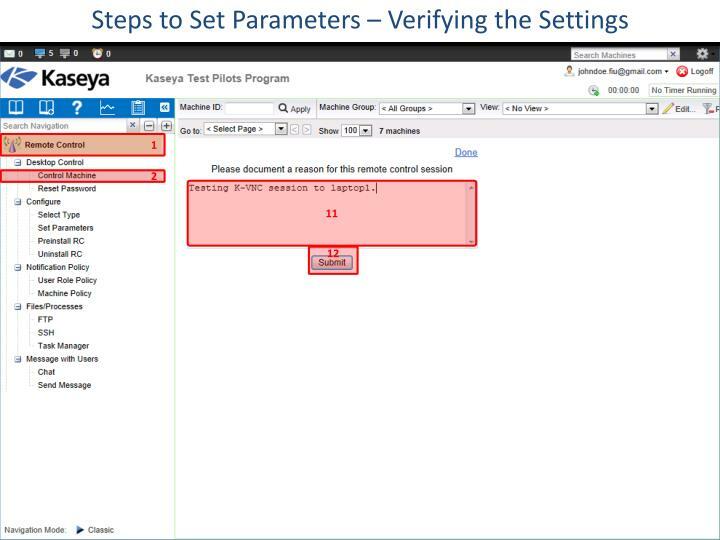 Verify that the remote control policies assigned to the machines have been applied as intended. 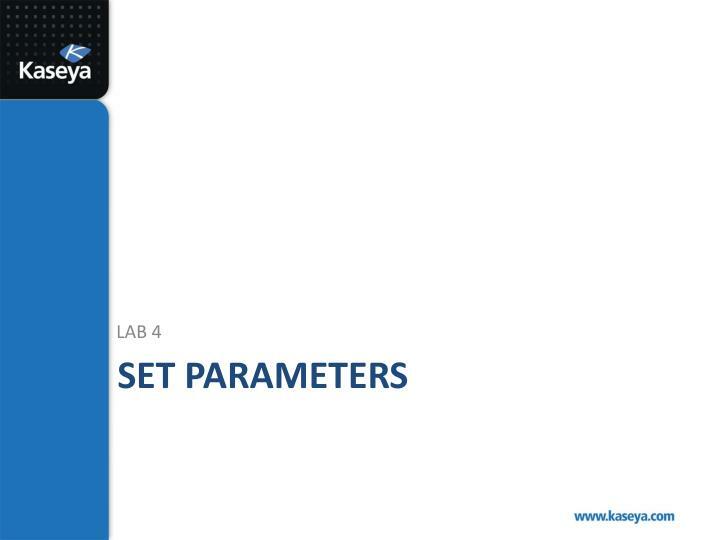 The Set Parameters function configures the default settings for your remote control session. These settings are remembered on a per VSA admin basis. Changes take effect immediately and are reused every time you start remote control. 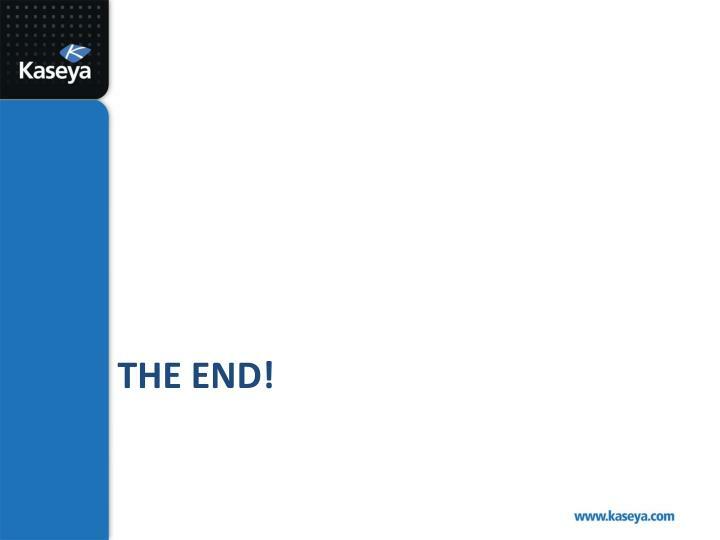 If the message is not shown on the virtual machines, it could be because the KaUsrTsk.exe is not running while remotely connected. If this is the problem, please refer to the the Agent Deployment lecture to learn how to use regeditto fix this issue. Reminder: you need to add “-remote” to a registry key and logout/login on the remote machine to resolve this issue. 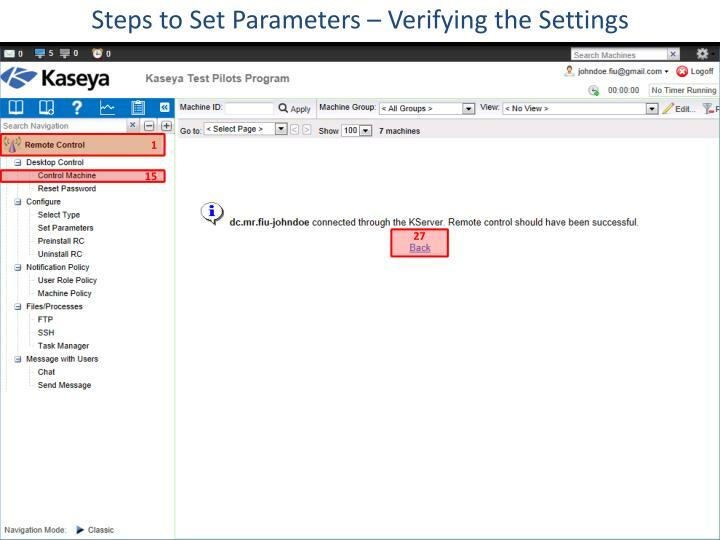 Preinstalling the selected remote control package will reduce the wait time when you perform the first remote connection. Since Terminal Server is distributed by Microsoft as part of it Windows Server OS, you do not have the option to preinstall it. 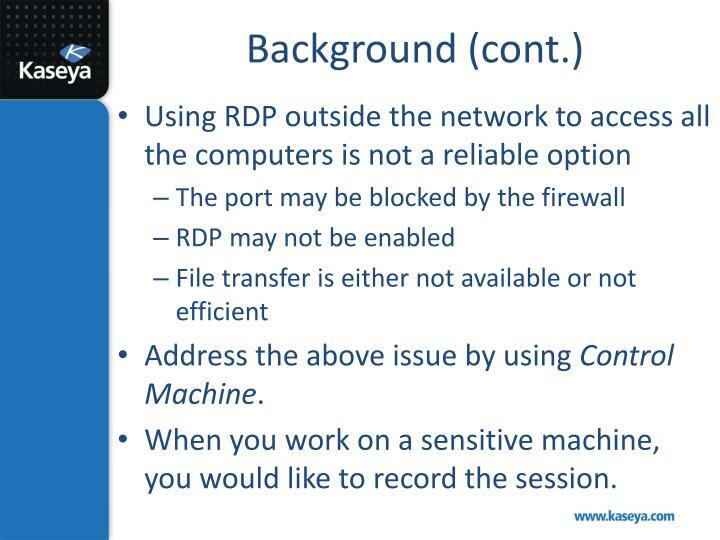 You do need to make sure RDP is enabled. The Preinstall RC function installs only WinVNC, K-VNC or RAdmin on selected machines without initiating a remote control session. 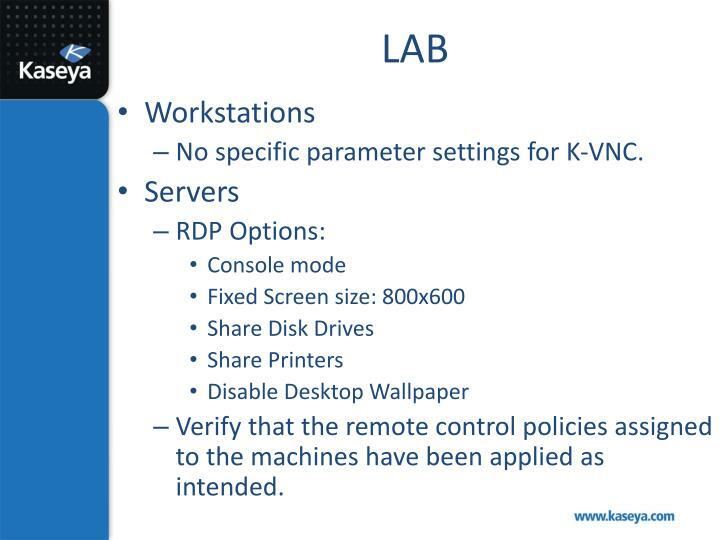 If WinVNC, K-VNC or RAdmin are not installed on a machine and a remote control session is initiated, these packages are automatically installed. Automatic installation can cause a slight delay before the remote control session begins. To eliminate this delay, you should use Preinstall RC. 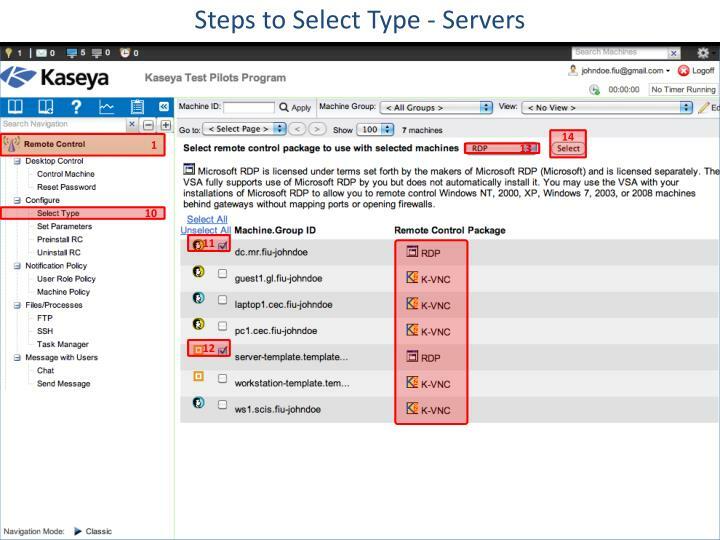 Before preinstall, select the type of remote control package using Select Type. When an installation is pending on any machine, this page automatically refreshes every 5 seconds until the procedure completes. 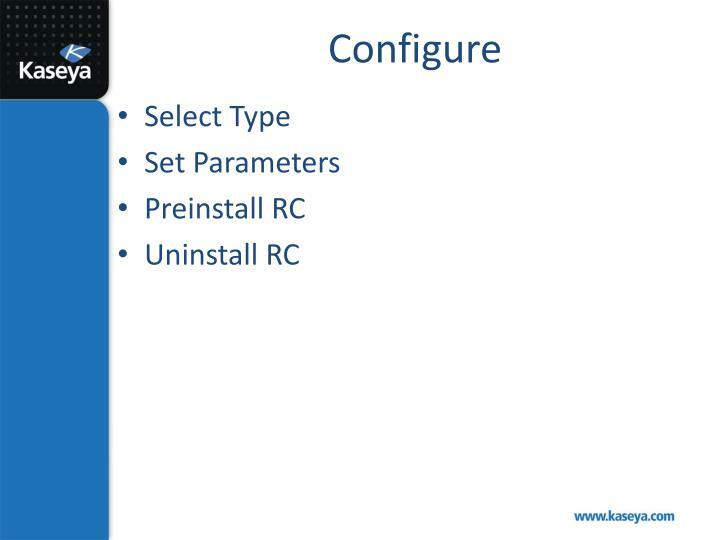 The Uninstall RC function uninstalls WinVNC, K-VNC or RAdmin on selected machines. 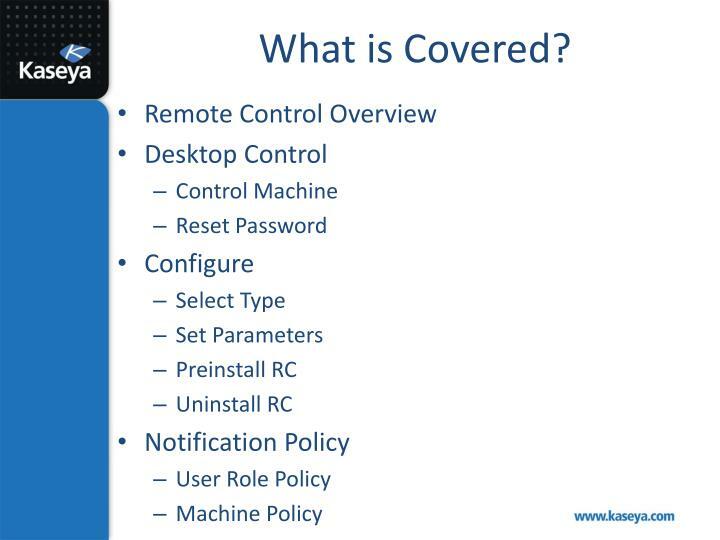 Multiple types of remote control packages may be installed on a single machine. Select the type of package to uninstall from a managed machine using Select Type. When an uninstall is pending on any machine ID this page automatically refreshes every 5 seconds until the procedure completes. 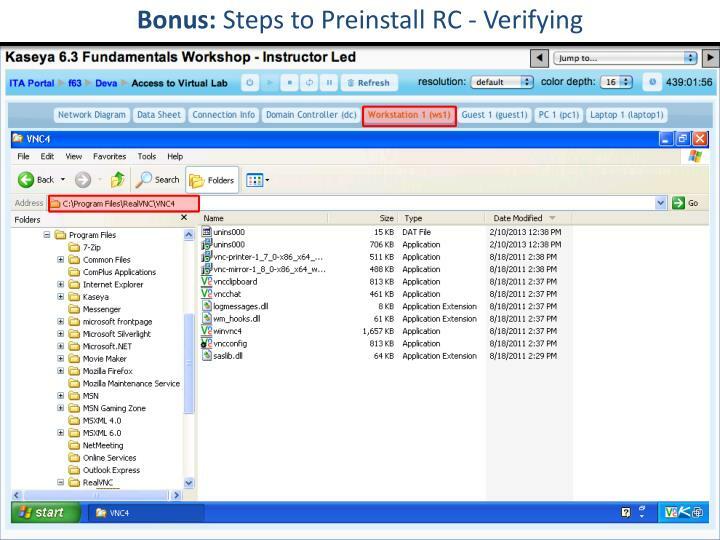 Note: Uninstall RC does not uninstall pcAnywhere or RDP. Note: Uninstalling an agent does not remove the installed Remote Control package. 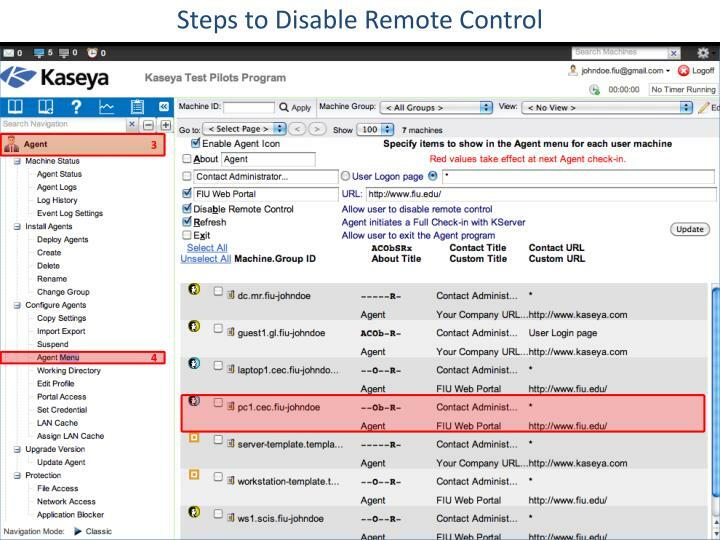 Before you delete the agent, use this functionto uninstall remote control on the managed machine. 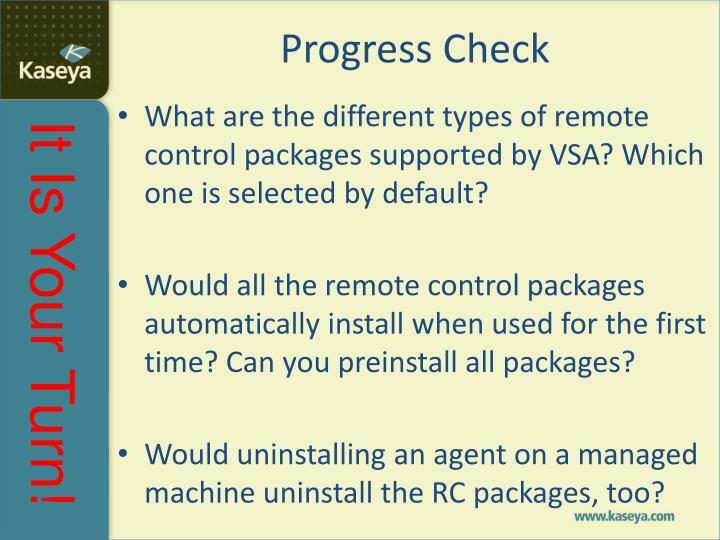 What are the different types of remote control packages supported by VSA? Which one is selected by default? Would all the remote control packages automatically install when used for the first time? Can you preinstall all packages? Would uninstalling an agent on a managed machine uninstall the RC packages, too? Notify user when session terminates. 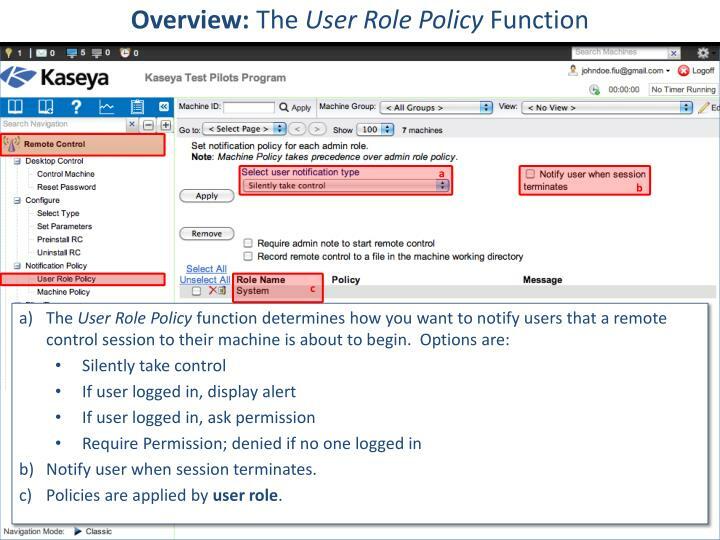 Policies are applied by user role. 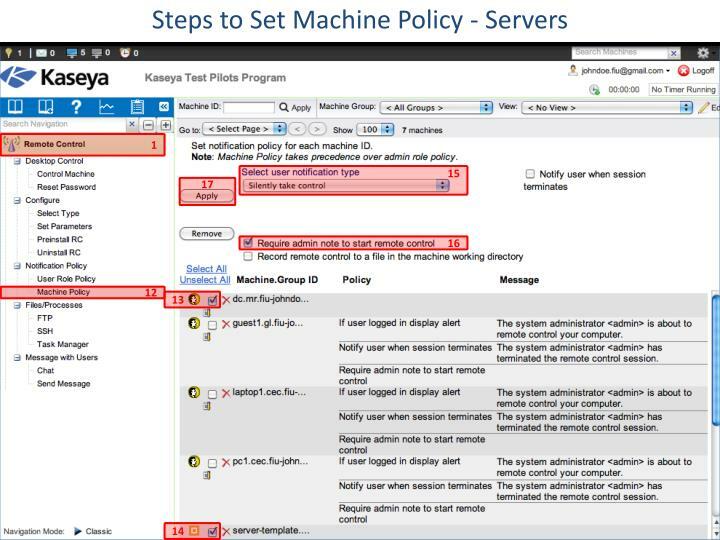 Policies are applied by machine ID. 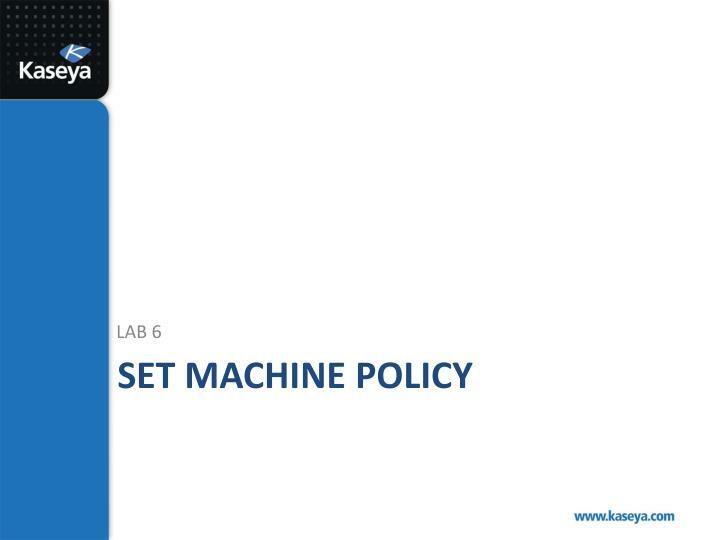 Machine policy takes precedence over user role policy. 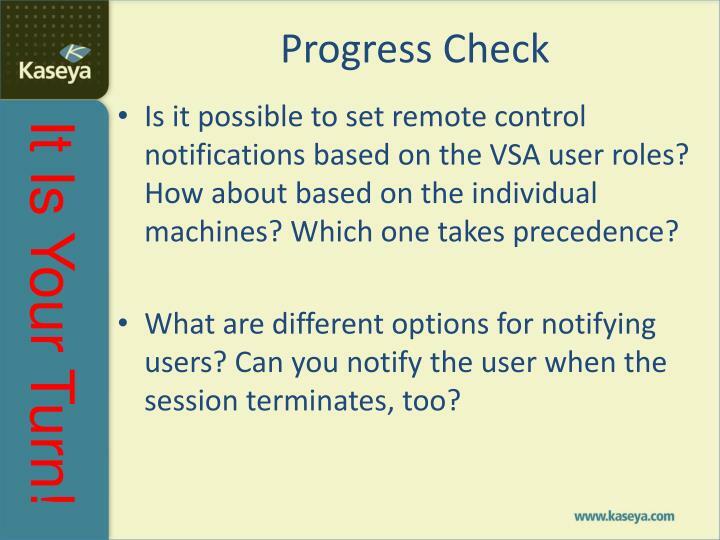 Is it possible to set remote control notifications based on the VSA user roles? How about based on the individual machines? Which one takes precedence? What are different options for notifying users? 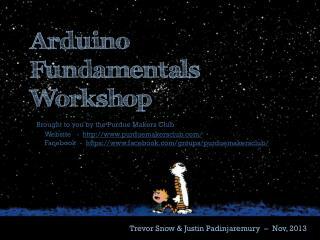 Can you notify the user when the session terminates, too? 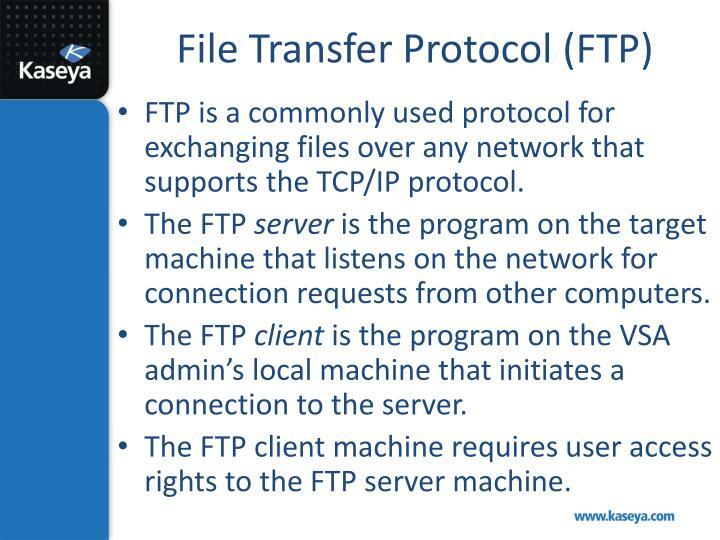 FTP is a commonly used protocol for exchanging files over any network that supports the TCP/IP protocol. 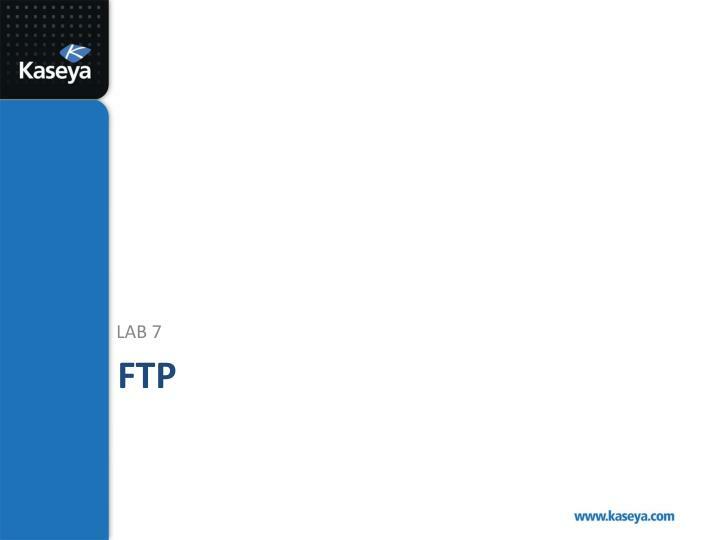 The FTP server is the program on the target machine that listens on the network for connection requests from other computers. 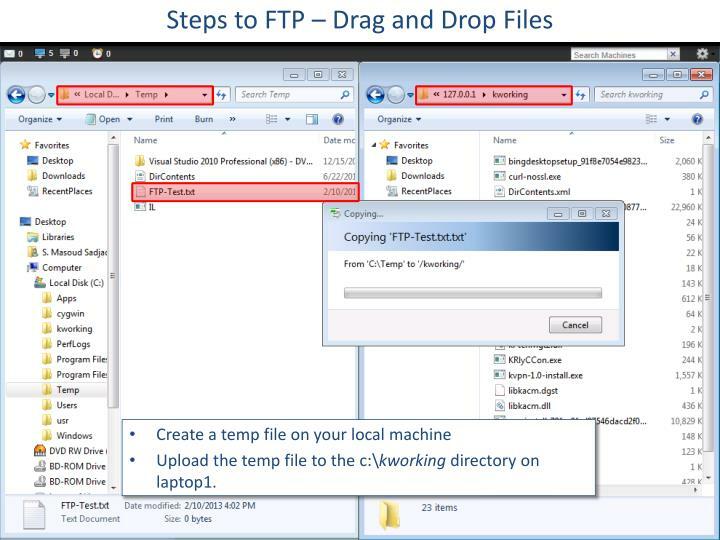 The FTP client is the program on the VSA admin’s local machine that initiates a connection to the server. 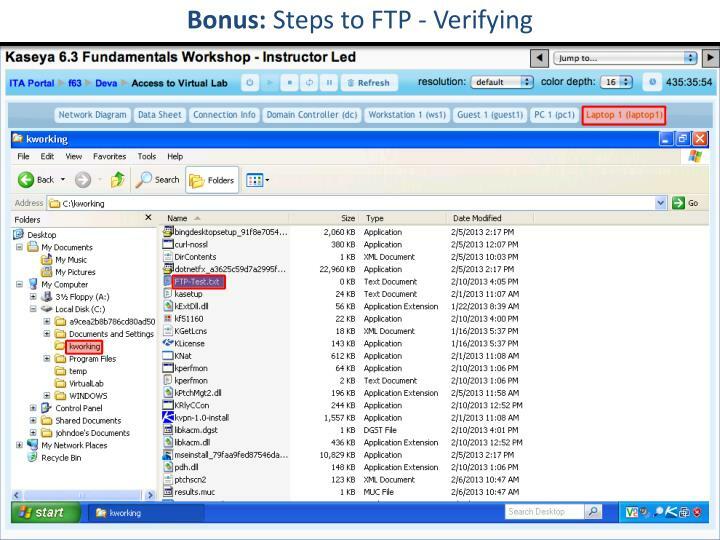 The FTP client machine requires user access rights to the FTP server machine. Once connected, the client can upload files to the server, download files from the server, rename or delete files on the server, etc. Virtually every computer platform supports the FTP protocol. 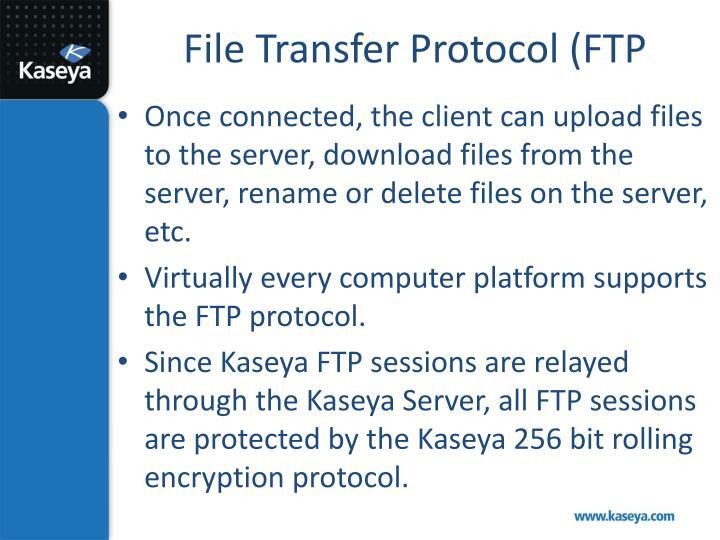 Since Kaseya FTP sessions are relayed through the Kaseya Server, all FTP sessions are protected by the Kaseya 256 bit rolling encryption protocol. 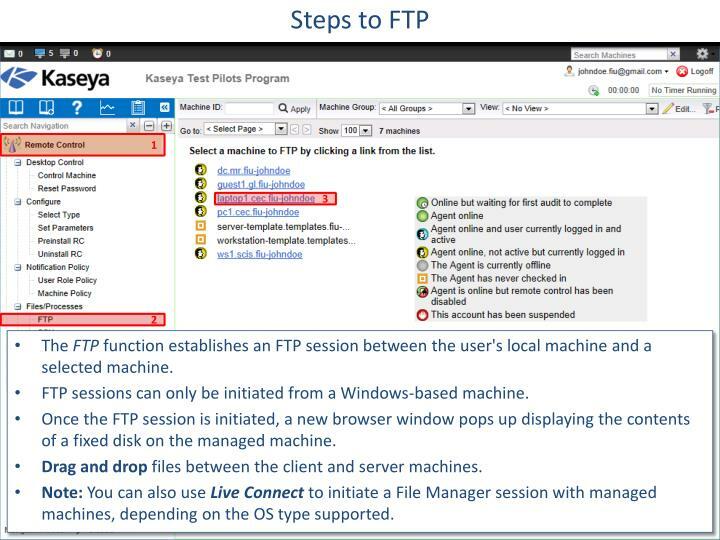 The FTP function establishes an FTP session between the user's local machine and a selected machine. 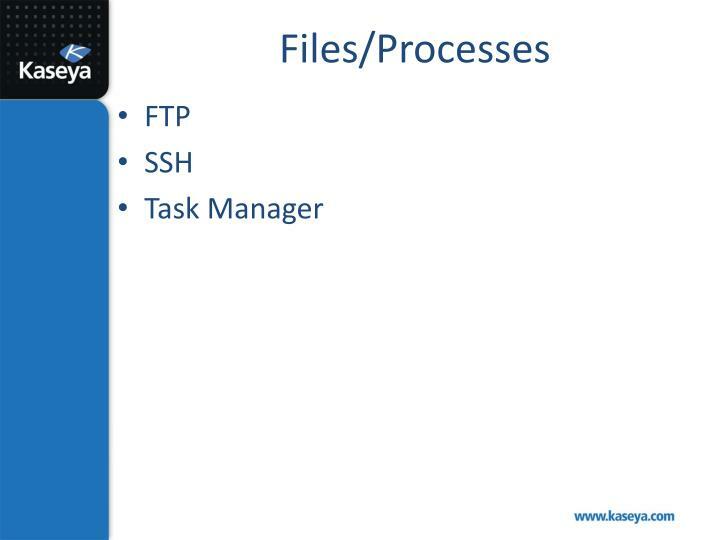 FTP sessions can only be initiated from a Windows-based machine. Once the FTP session is initiated, a new browser window pops up displaying the contents of a fixed disk on the managed machine. Drag and drop files between the client and server machines. Note: You can also use Live Connect to initiate a File Manager session with managed machines, depending on the OS type supported. 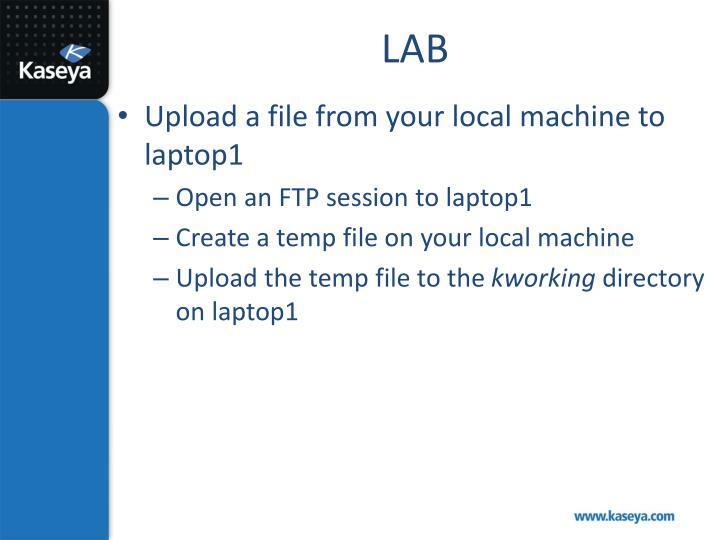 Upload the temp file to the c:\kworking directory on laptop1. The SSH function runs an SSH command line session on a selected, active Linux or Mac machine. SSH sessions can only be initiated from a Windows-based machine. Only Linux or Mac machines with an or or icon are active. 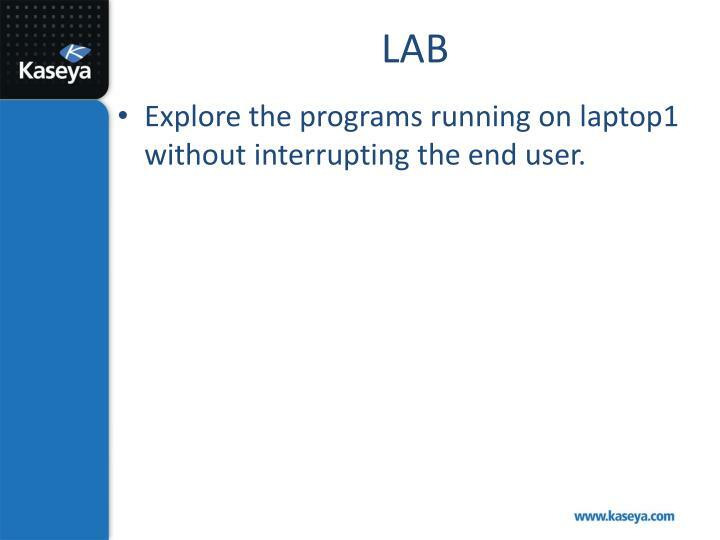 Explore the programs running on laptop1 without interrupting the end user. The Task Manager function provides the detail available in Windows task manager. It lists all currently active processes on a managed machine. Clicking the link of a machine tasks the agent on the managed machine to collect 10 seconds of process data at the next check-in. It displays the results in tabular form. 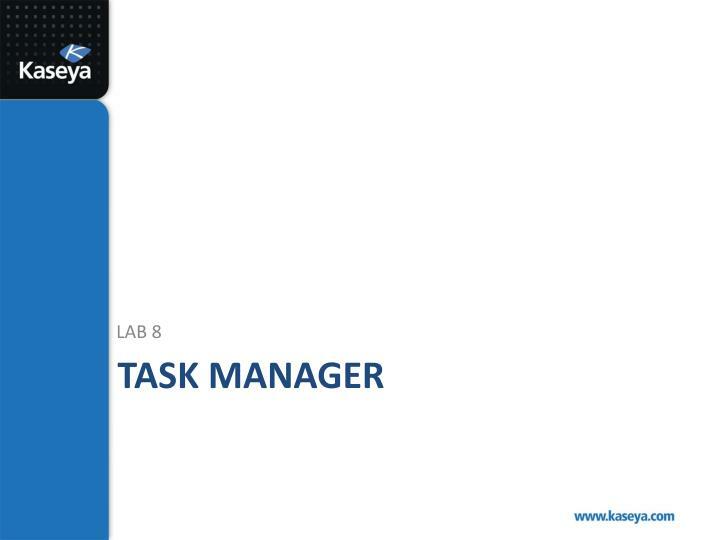 Task Manager supports all Windows operating systems, Windows 95 and up. Note: You can also use Live Connect to perform Task Manager tasks. 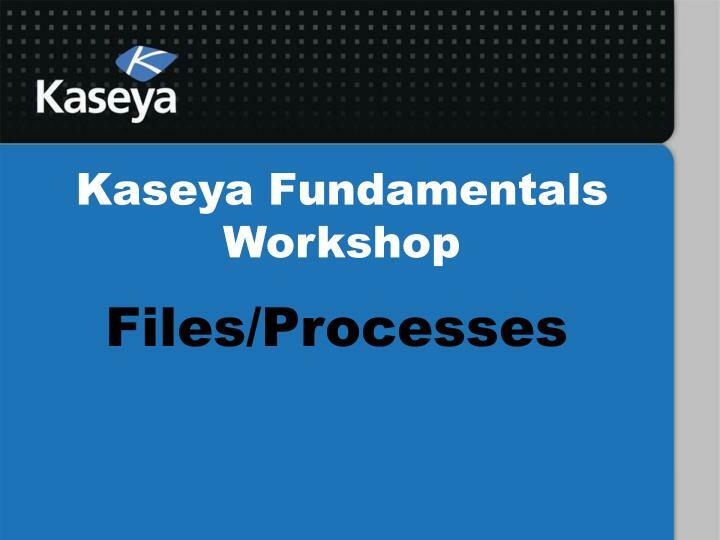 Do you know how to upload and download files to /from a managed machine? Can you SSH to managed Mac and Linux machines using VSA? 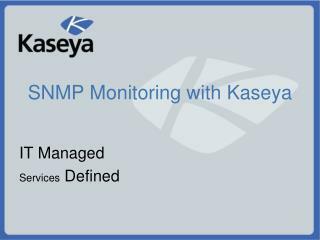 How can you explore the list of programs running on a managed machine without disturbing the end user? 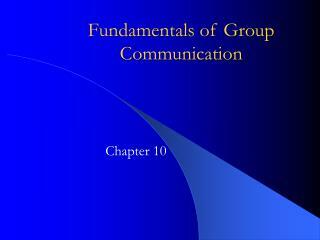 The Chat function initiates or continues chat sessions with logged on users on managed machines. Multiple chat sessions may be active at the same time. Each window title displays the machine name for that session. The system automatically removes all messages older than one hour. 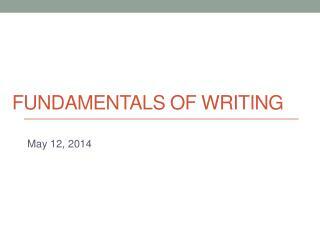 Press the Shift-Enter key combination to insert a carriage return into a message. 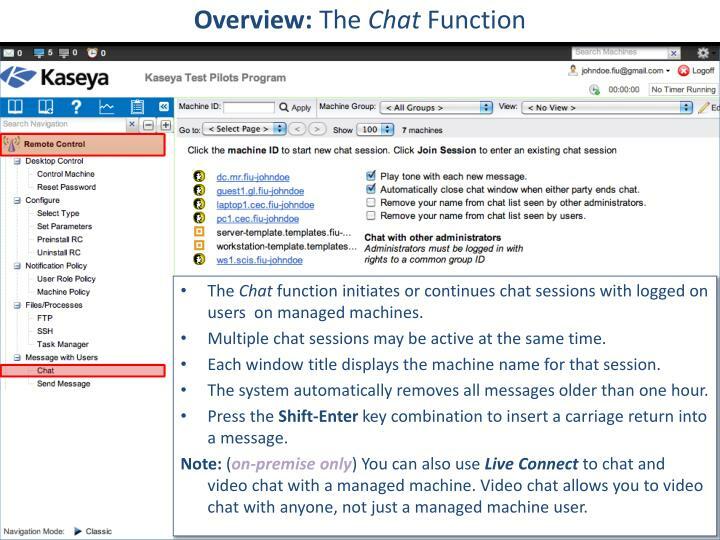 Note: (on-premise only)You can also use Live Connect to chat and video chat with a managed machine. Video chat allows you to video chat with anyone, not just a managed machine user. The Domain Controller server is causing some problems on the network. 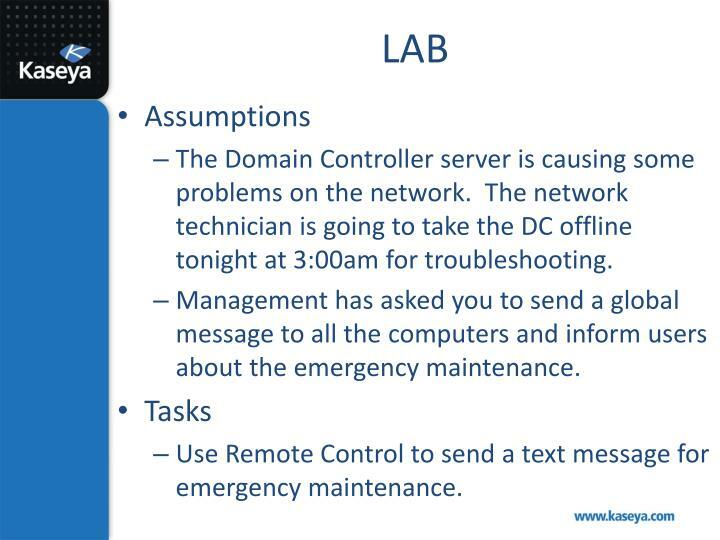 The network technician is going to take the DC offline tonight at 3:00am for troubleshooting. Management has asked you to send a global message to all the computers and inform users about the emergency maintenance. Use Remote Control to send a text message for emergency maintenance. The Send Message function sends network messages to selected machine IDs. 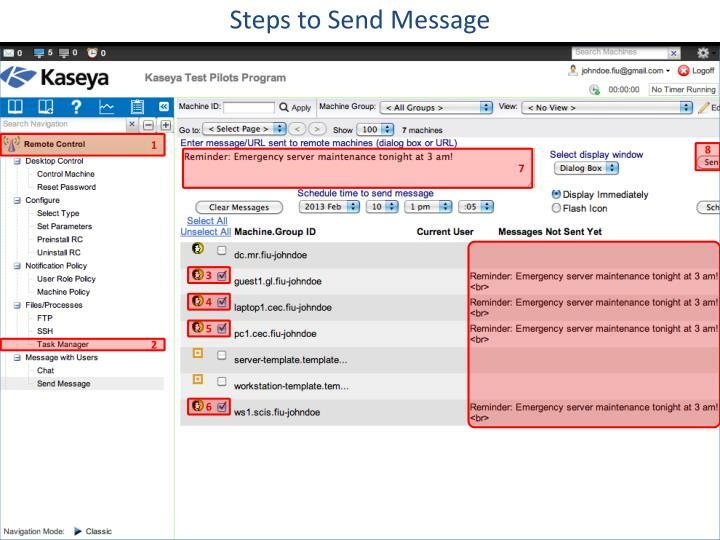 Messages can be sent immediately (at the next managed machine check-in) or can be scheduled to be sent at a future date and time. 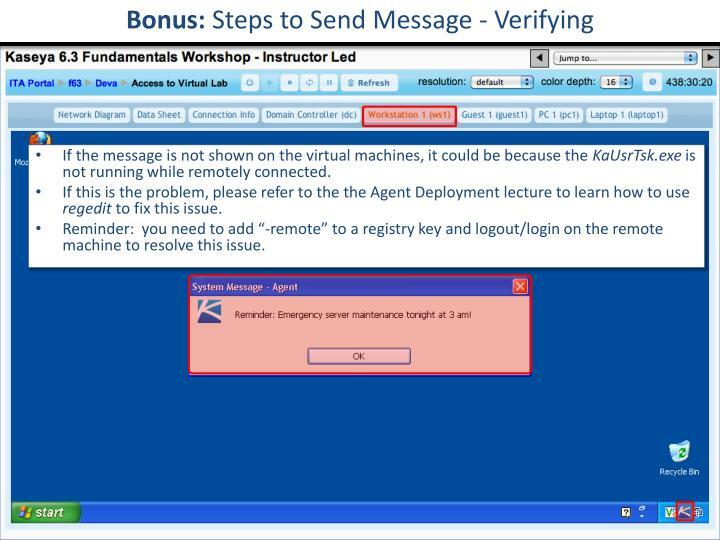 The message either displays immediately on the managed machine or the agent icon in the system tray of the managed machine flashes between a white background and its normal background when a message is waiting to be read. When the machine user clicks the flashing icon, the message displays. Machine users can also be notified by a conventional Windows dialog box or through a browser window. 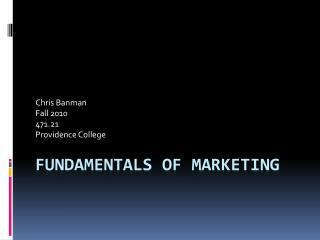 If a browser window is used, enter a URL instead of a text message. This feature can be handy, for example, to automatically take users to a web page displaying an updated contact sheet or other relevant information. 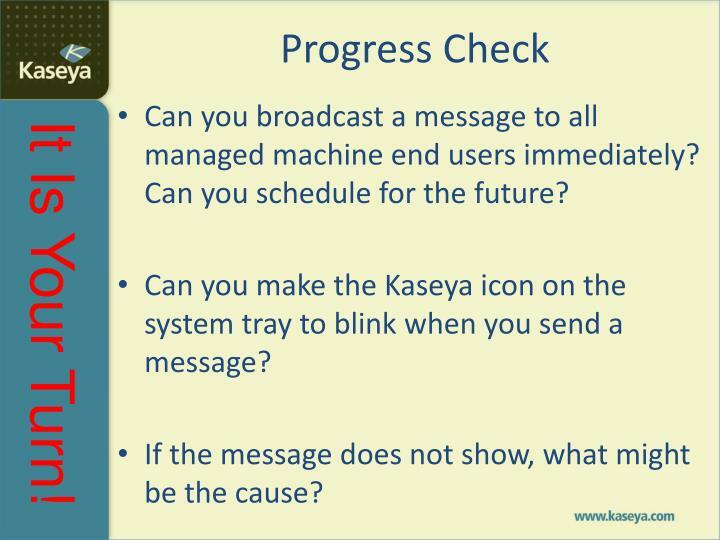 Can you broadcast a message to all managed machine end users immediately? Can you schedule for the future? 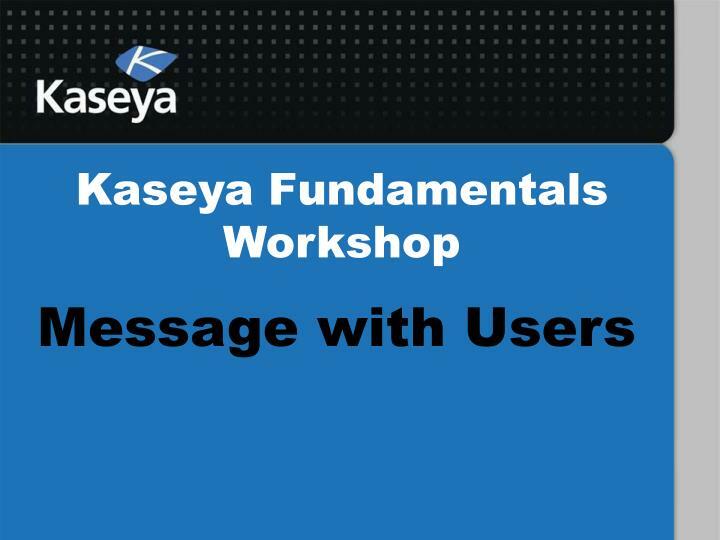 Can you make the Kaseya icon on the system tray to blink when you send a message? 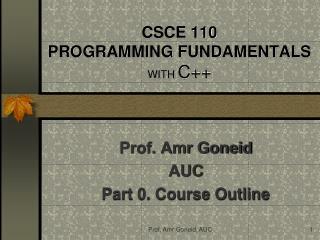 If the message does not show, what might be the cause? 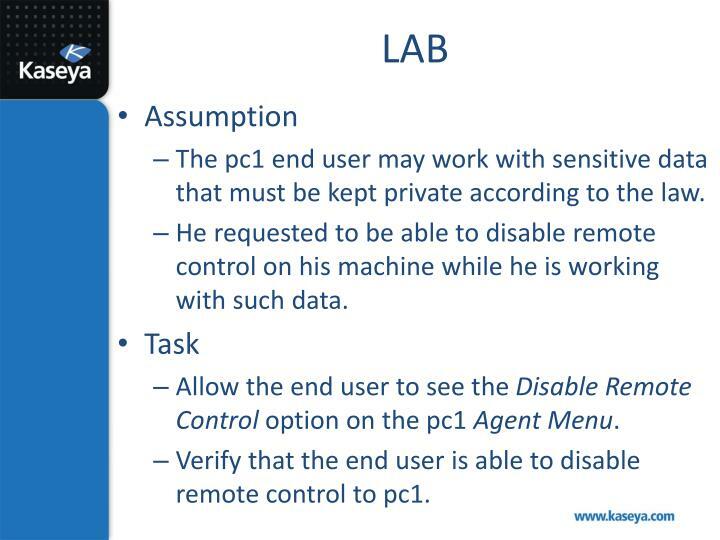 The pc1 end user may work with sensitive data that must be kept private according to the law. He requested to be able to disable remote control on his machine while he is working with such data. Allow the end user to see the Disable Remote Control option on the pc1 Agent Menu. 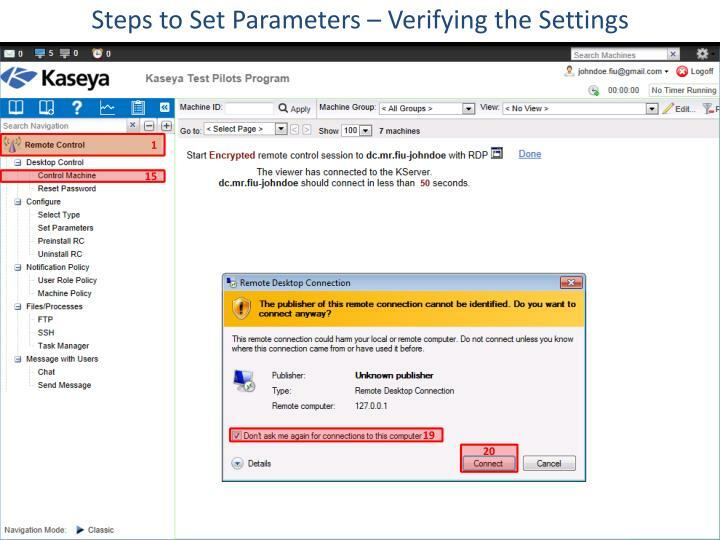 Verify that the end user is able to disable remote control to pc1. 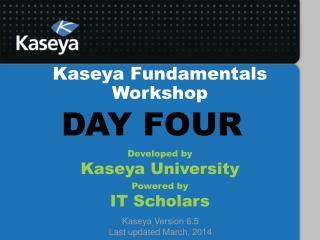 Right click on the Kaseya icon in the system tray. 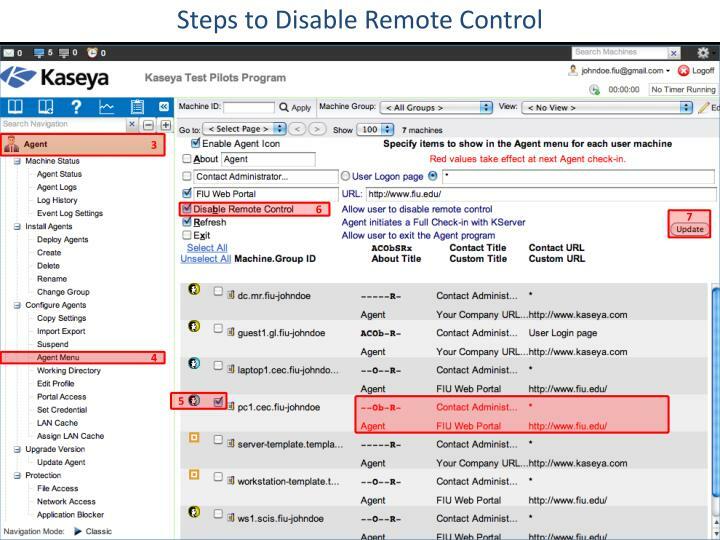 Note the agent menu does not include an option to disable remote control. You can see that the agent menu now includes the option Disable Remote Control. 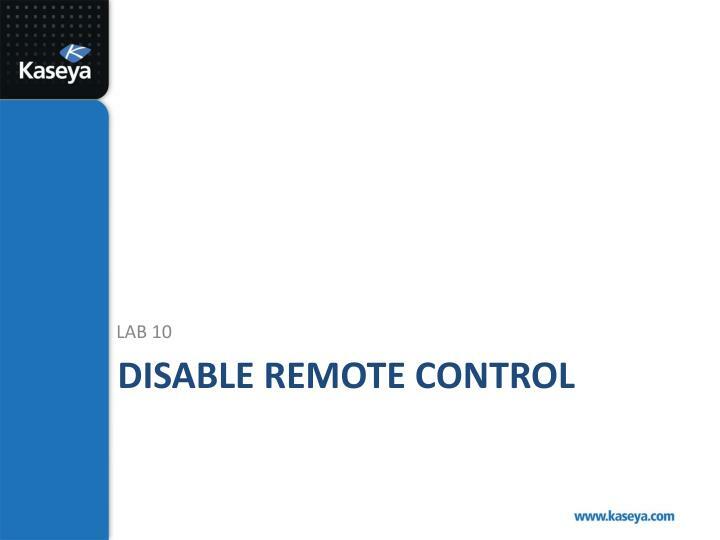 Click on this option to disable remote control. 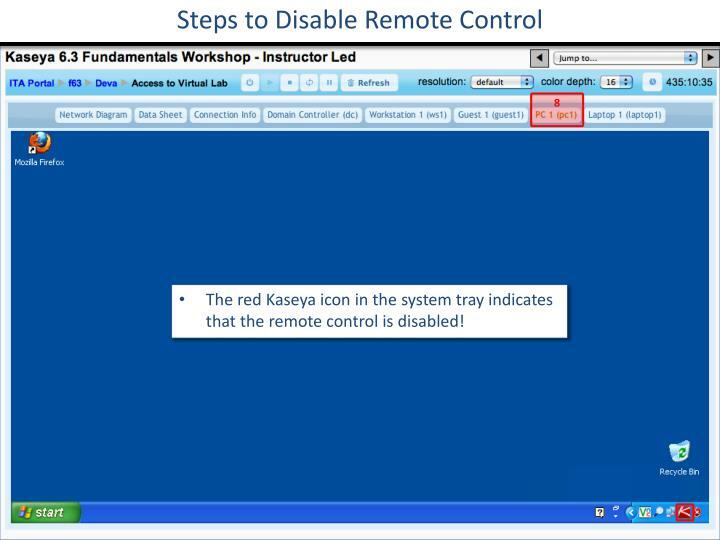 The red Kaseya icon in the system tray indicates that the remote control is disabled! 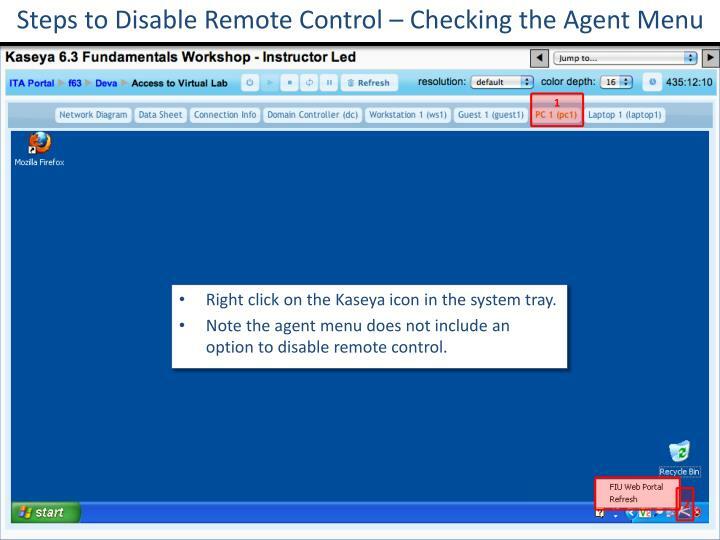 Notice the agent check-in icon showing that the remote control is disabled for pc1. The link on pc1 is disabled too. 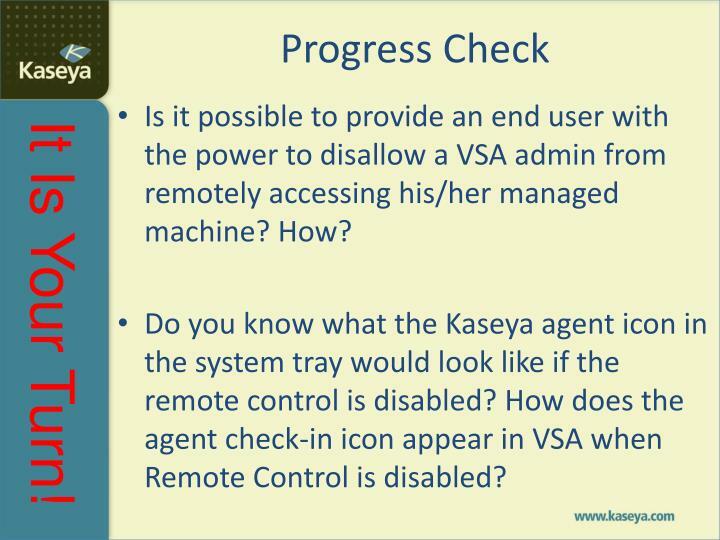 Is it possible to provide an end user with the power to disallow a VSA admin from remotely accessing his/her managed machine? How? 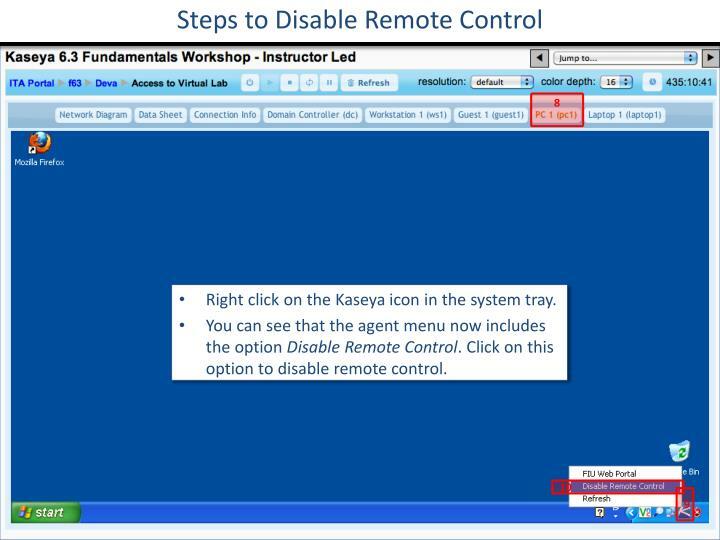 Do you know what the Kaseya agent icon in the system tray would look like if the remote control is disabled? 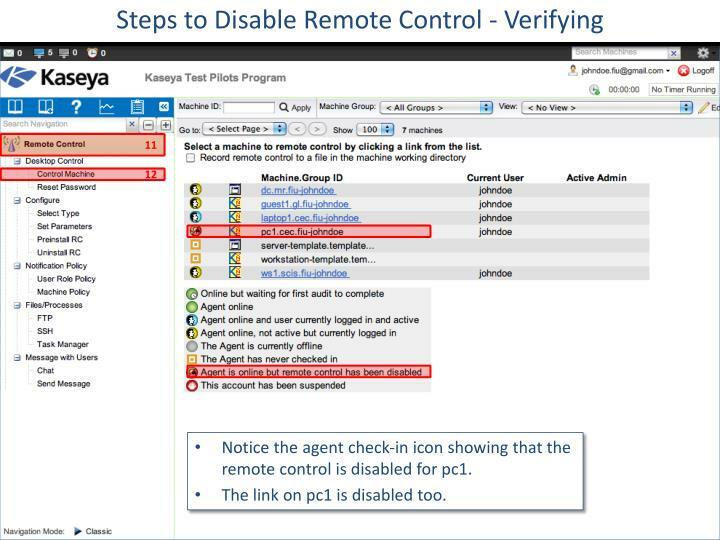 How does the agent check-in icon appear in VSA when Remote Control is disabled? 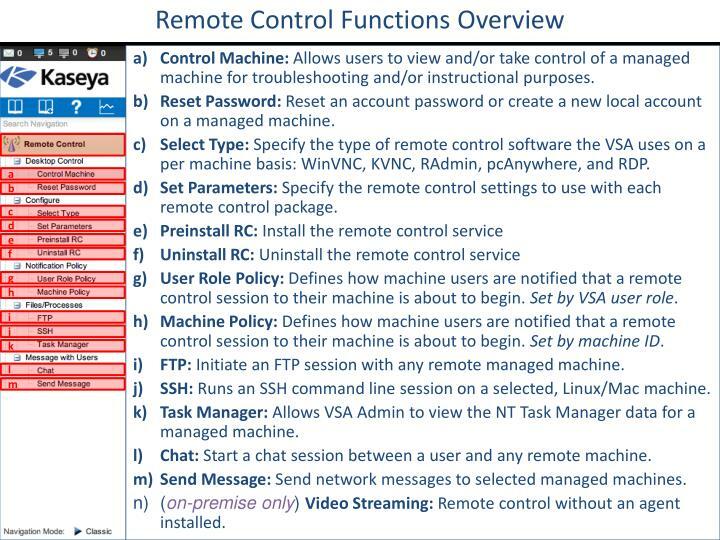 Remote Control enables the VSA users to remotely control and provide immediate support to users of managed computers. 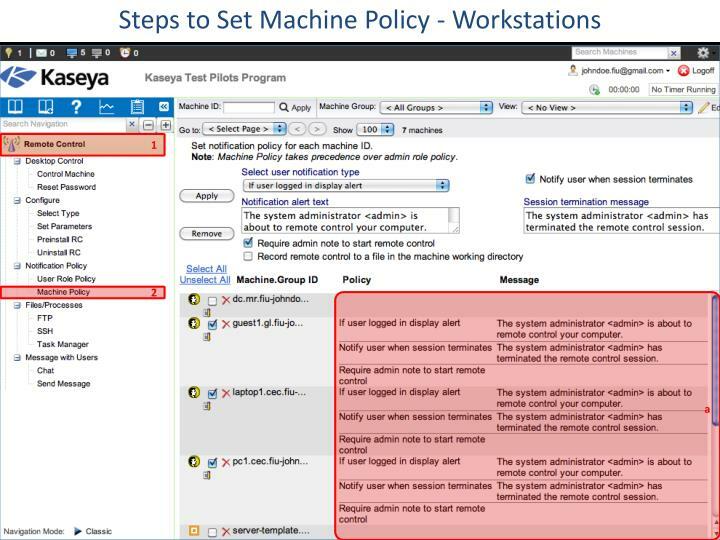 You can set policies that allow users to block remote control or require users to ask permission before accessing a machine. You can FTP to managed machines and access files. 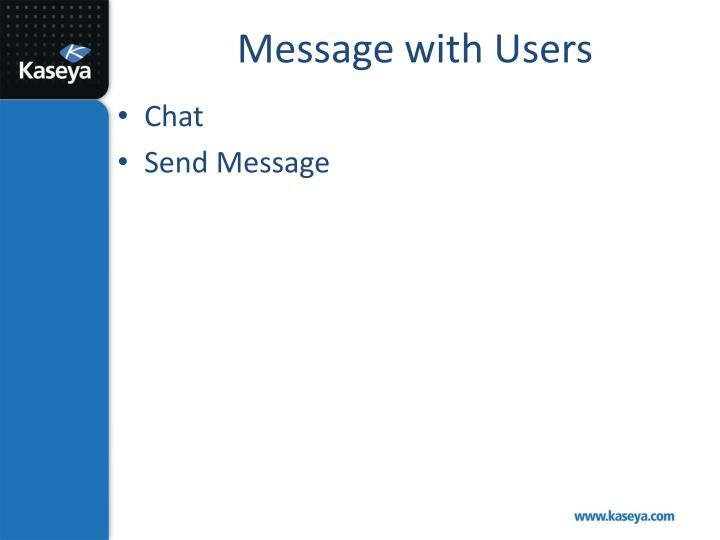 You can send message to the end users or direct chat with them. 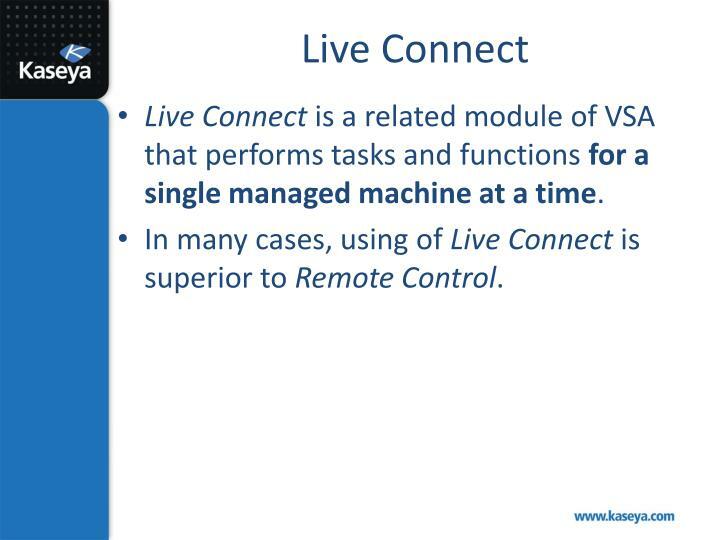 Live Connect is a related module of VSA that performs tasks and functions for a single managed machine at a time. 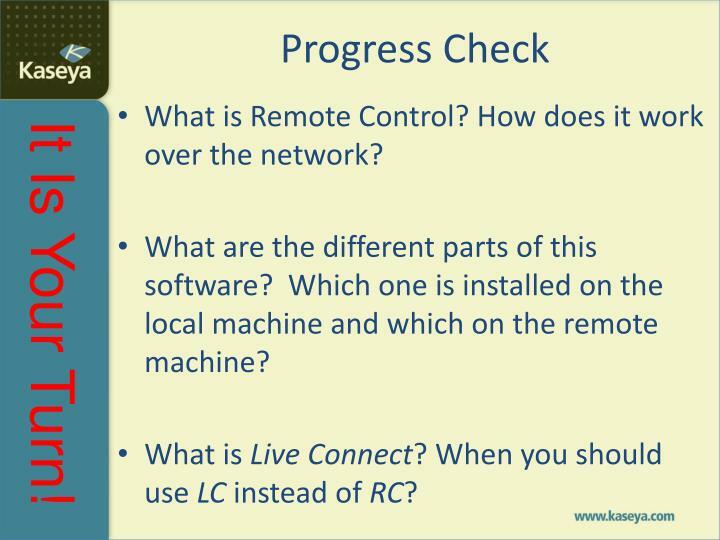 In many cases, using of Live Connect is superior to Remote Control. A co-worker is having problems with his laptop. 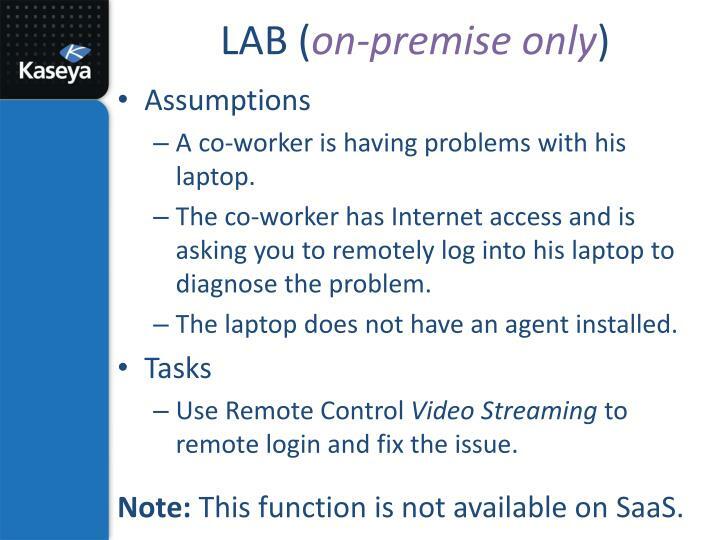 The co-worker has Internet access and is asking you to remotely log into his laptop to diagnose the problem. The laptop does not have an agent installed. 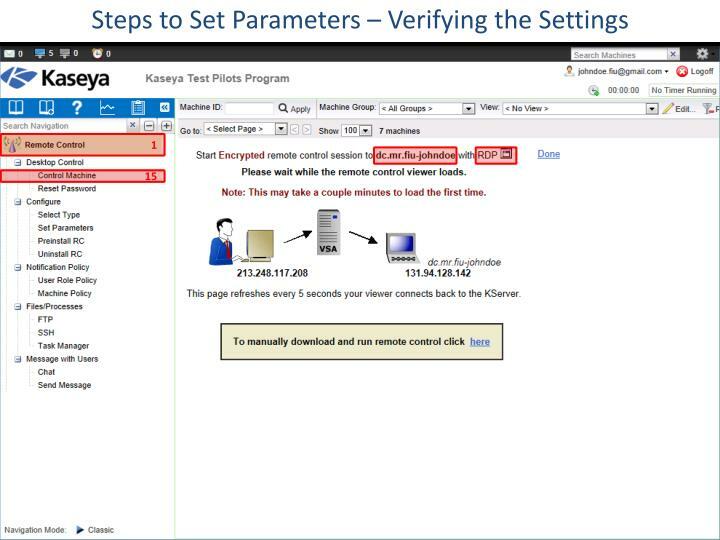 Use Remote Control Video Streaming to remote login and fix the issue. Note: This function is not available on SaaS. 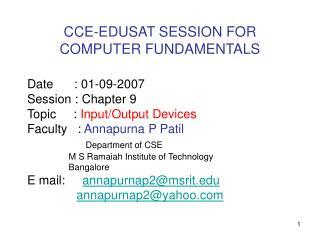 We use laptop1 as the test environment. We assume that it does not have an agent. 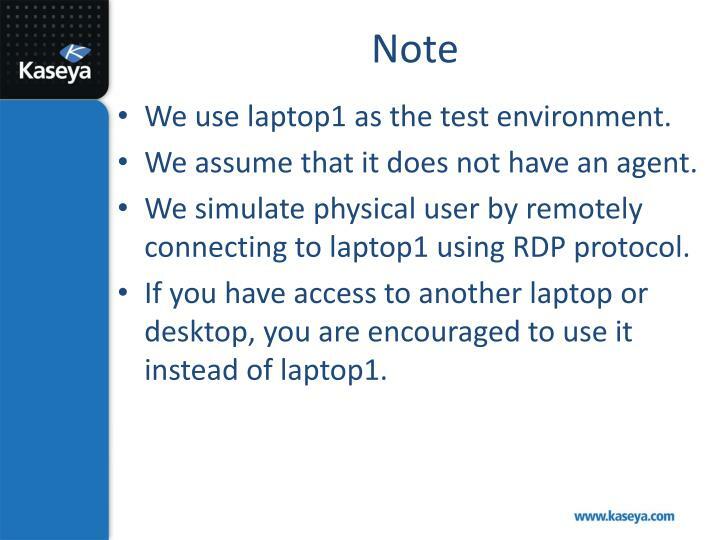 We simulate physical user by remotely connecting to laptop1 using RDP protocol. 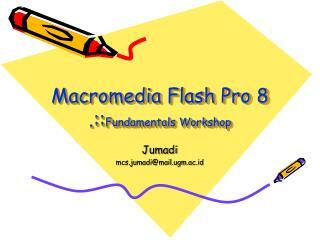 If you have access to another laptop or desktop, you are encouraged to use it instead of laptop1. 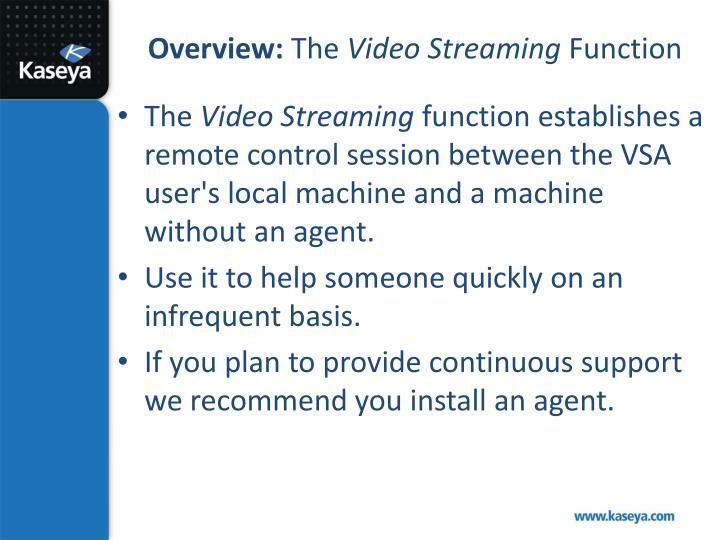 The Video Streaming function establishes a remote control session between the VSA user's local machine and a machine without an agent. 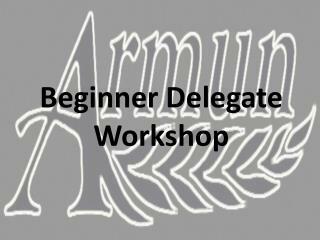 Use it to help someone quickly on an infrequent basis. 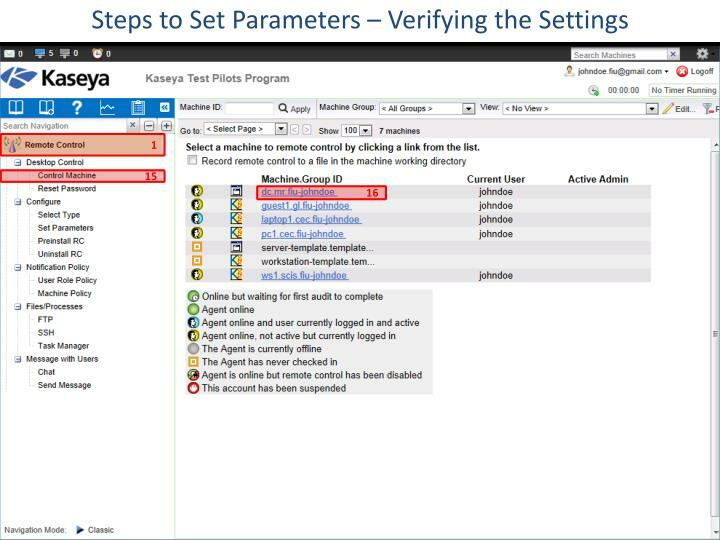 If you plan to provide continuous support we recommend you install an agent. 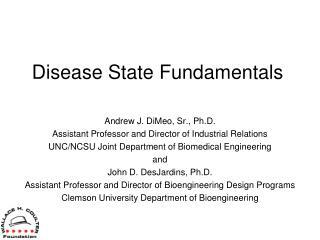 Public Workshop August 20, 2014 -. 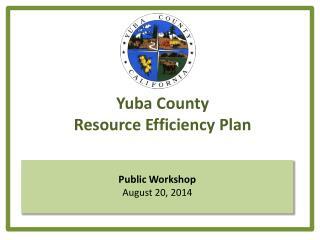 yuba county resource efficiency plan. outline. resource efficiency plan (rep) purpose rep process rep outreach and input rep scenarios discussion. yuba county rep. resource efficiency plan purpose.